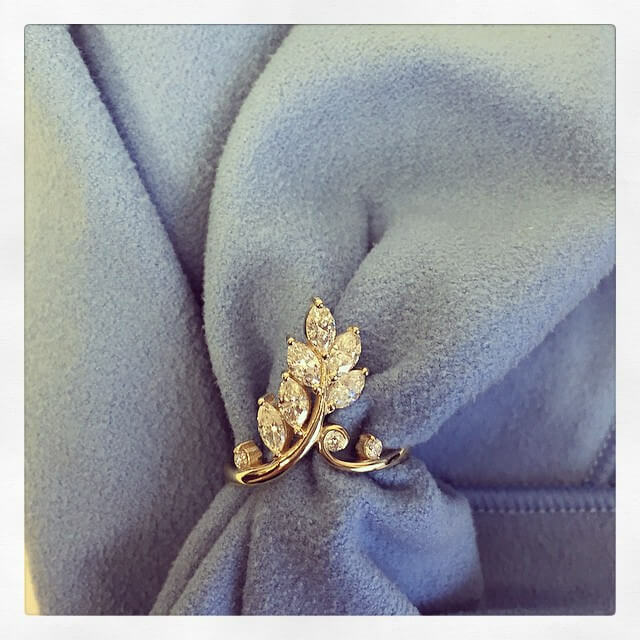 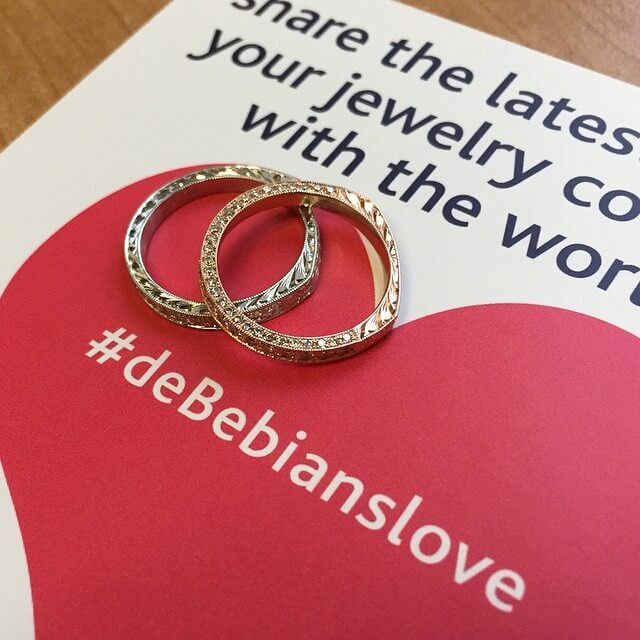 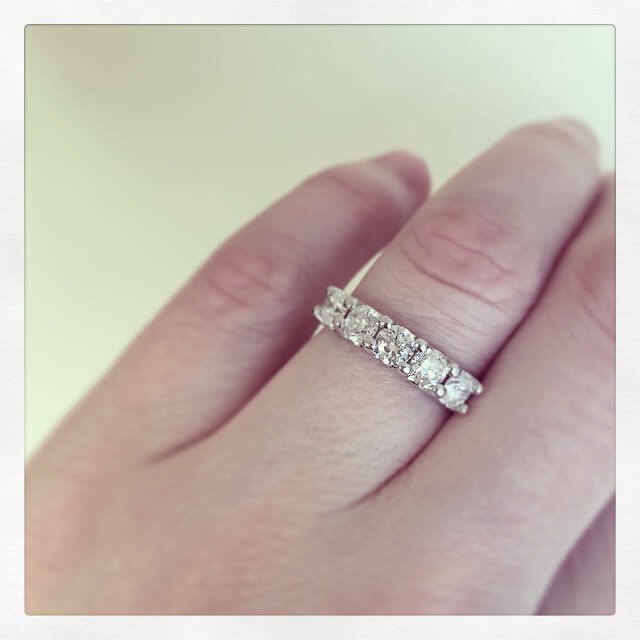 Our recently purchased section represents a wide variety of our products, including engagement rings, wedding rings, anniversary rings, signet rings, earrings, and necklaces. 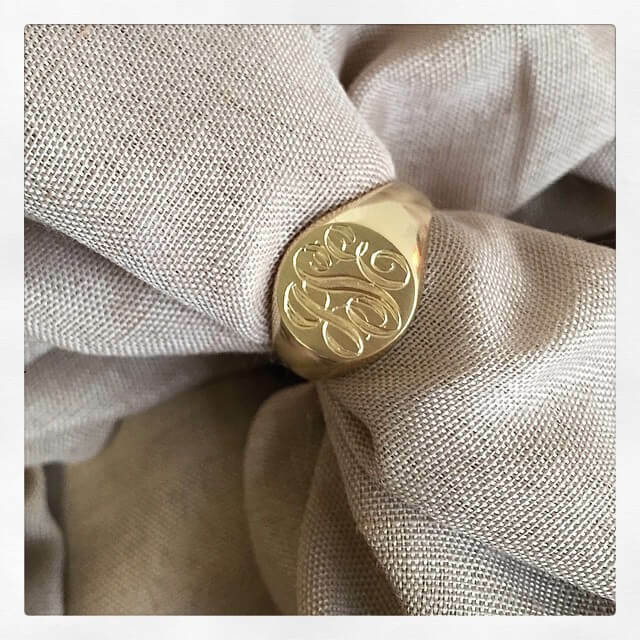 Due to the popularity of our engagement rings and eternity rings, those items have been placed on their own pages, accessible via one of the buttons below. 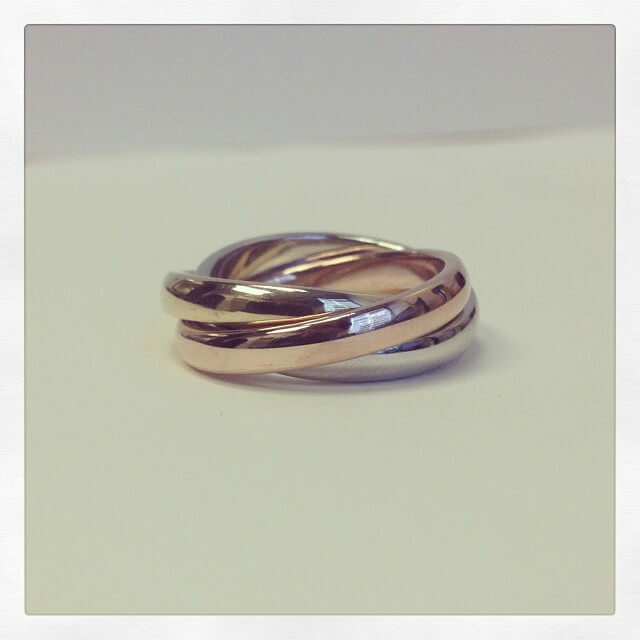 14k Rose Gold, 0.91 cttw. 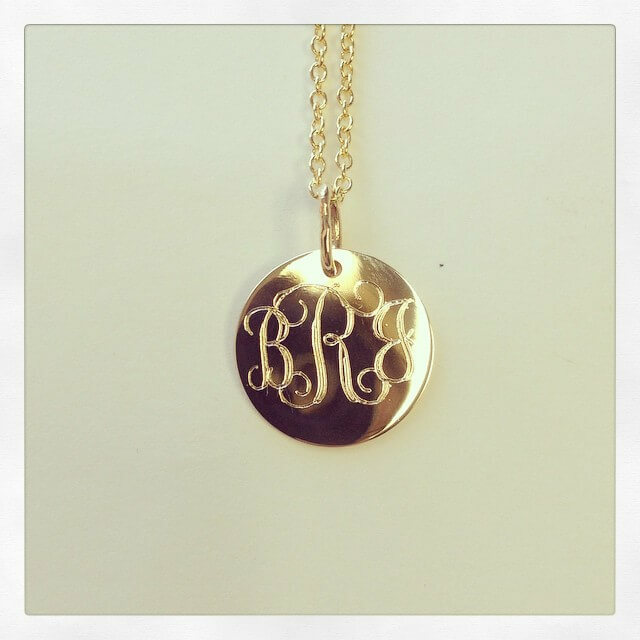 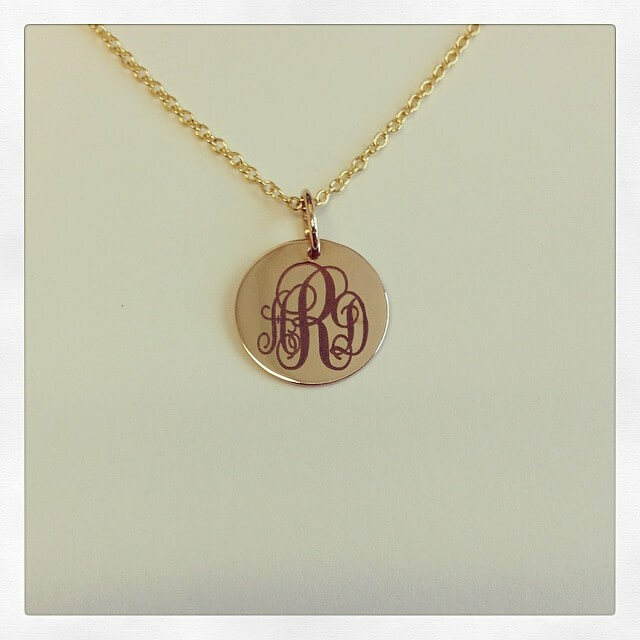 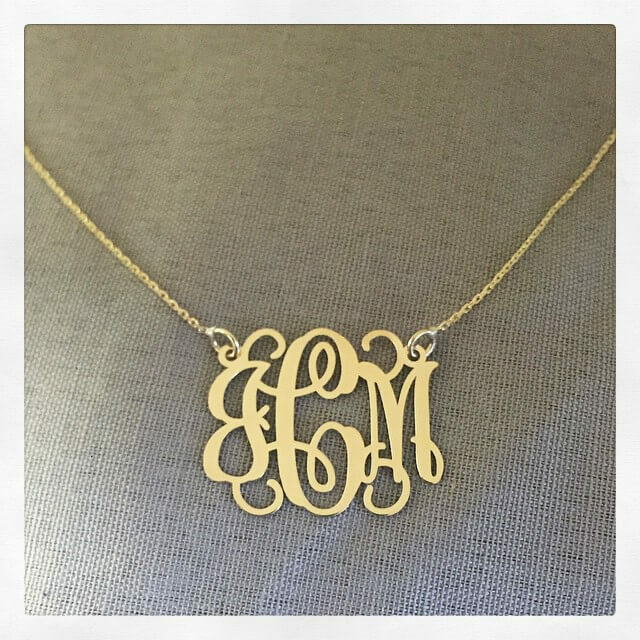 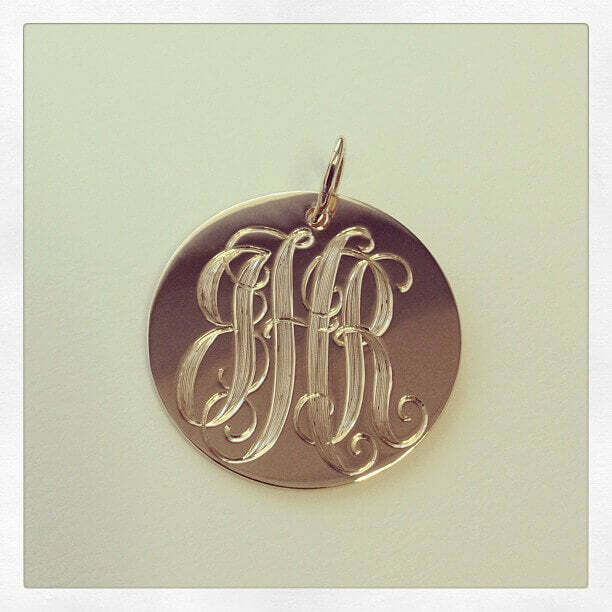 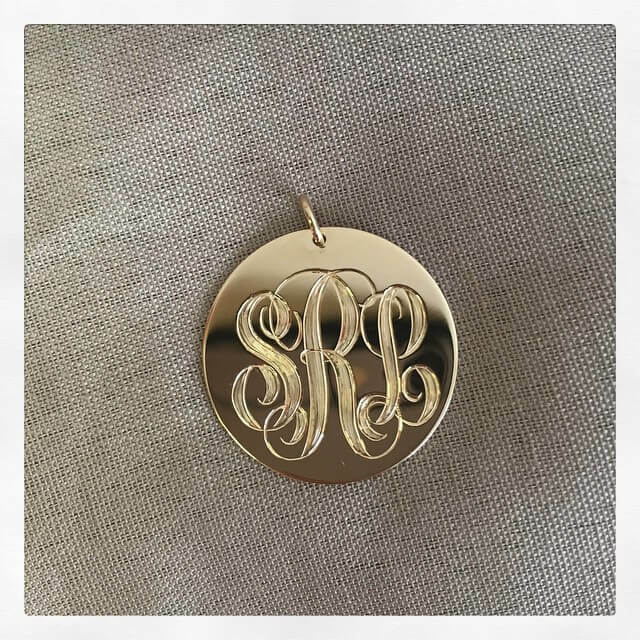 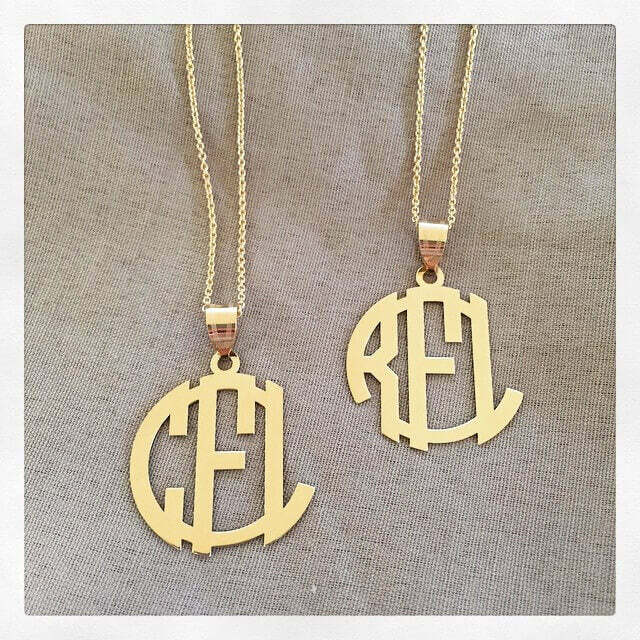 14k Yellow Gold, carved with the letters "CFL" and "RFL". 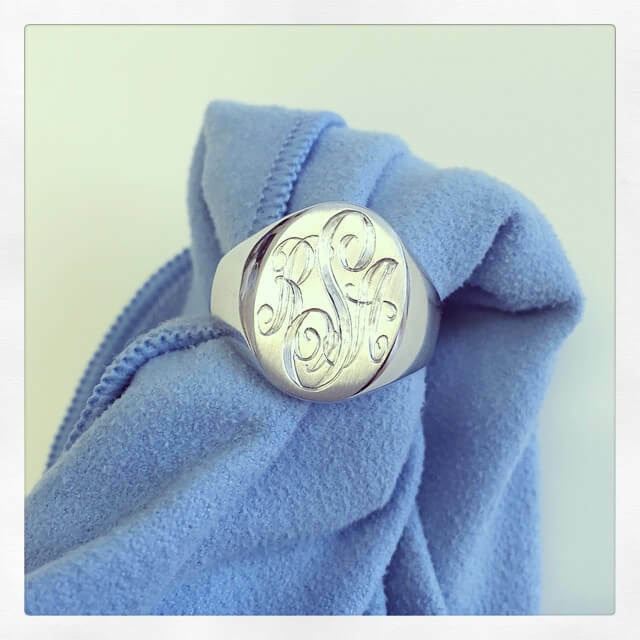 14k White Gold, 0.68 cttw. 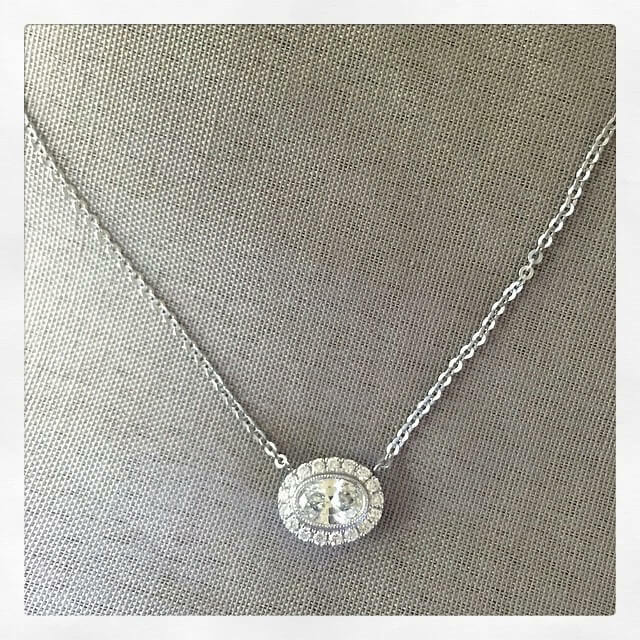 Custom Oval Halo Diamond Pendant east-west bezel set with EGL certified F SI1 0.51 ct oval diamond surrounded by 0.17 cttw u-pave halo with milgrain accents. 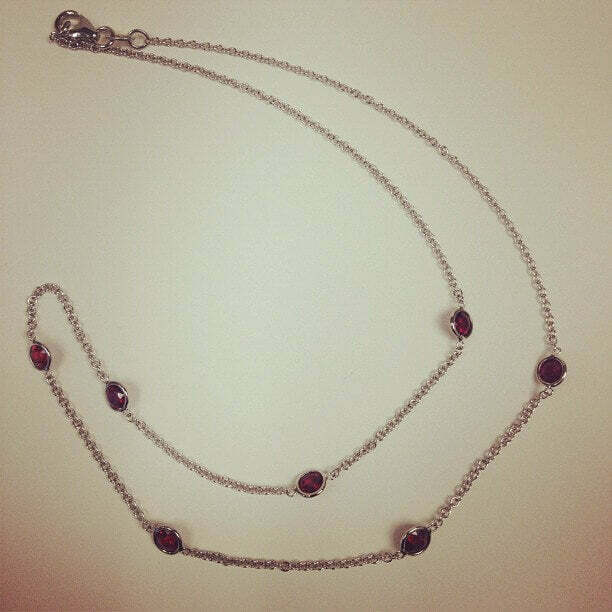 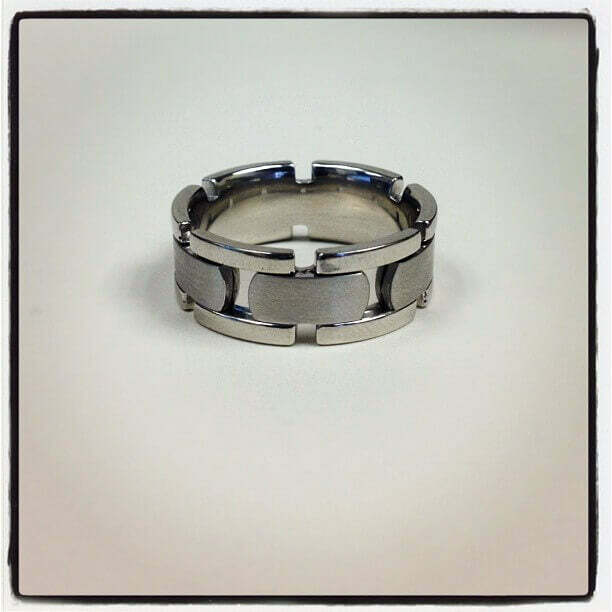 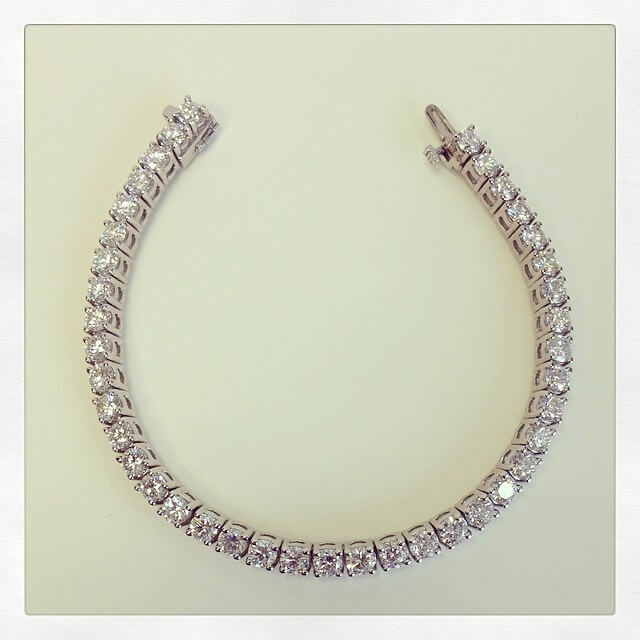 14k White Gold, 10.00 cttw. 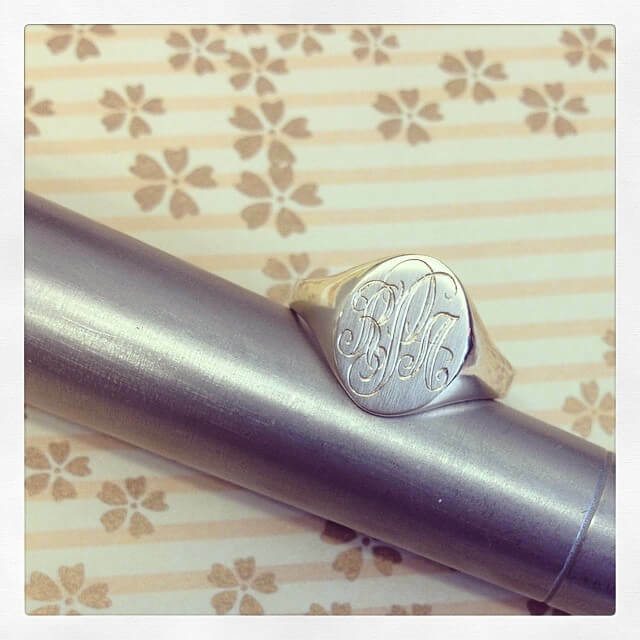 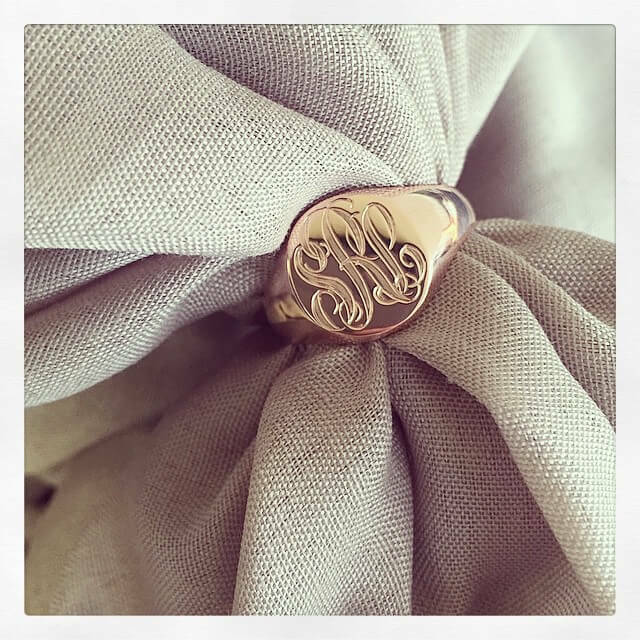 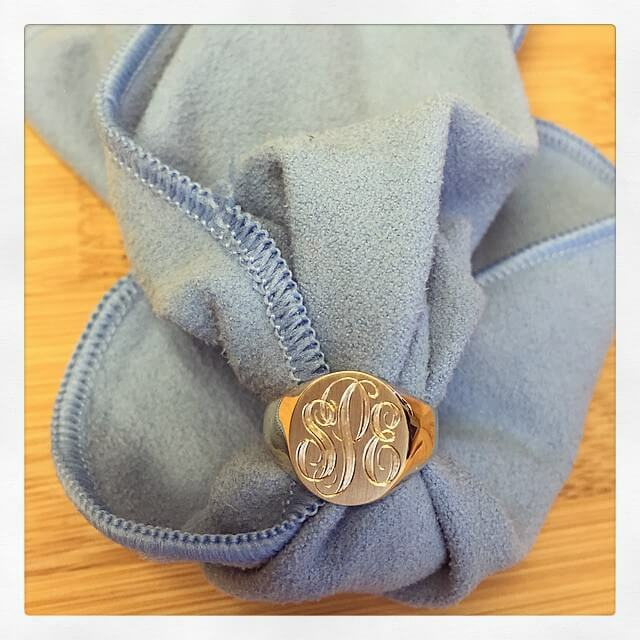 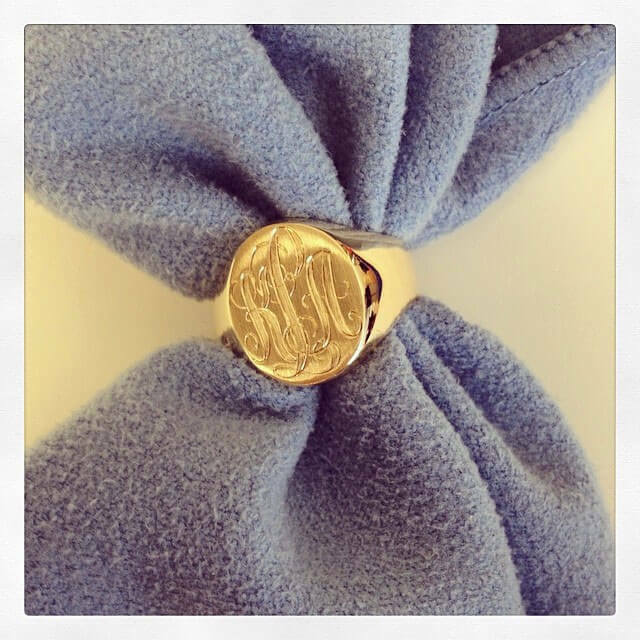 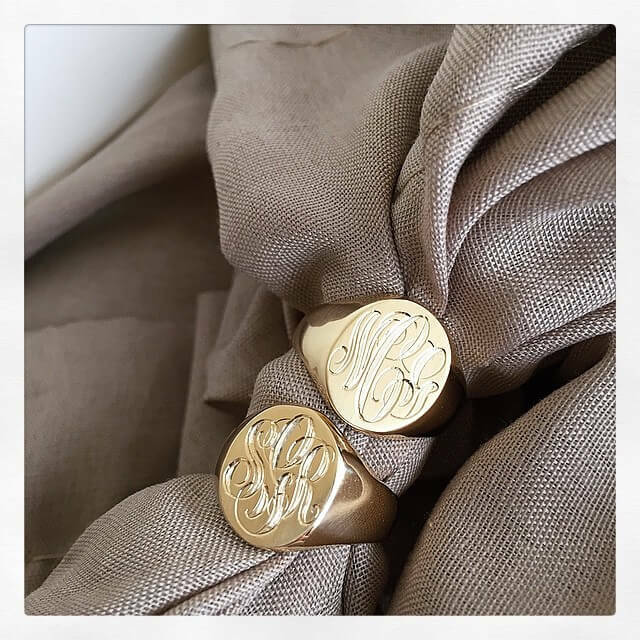 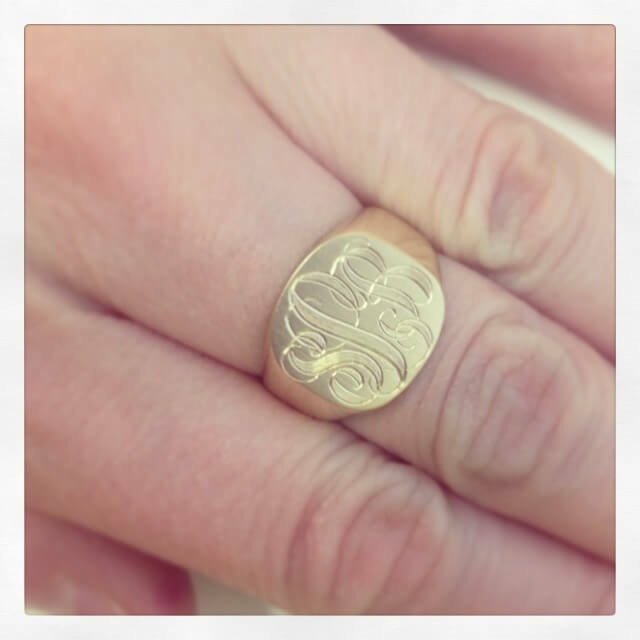 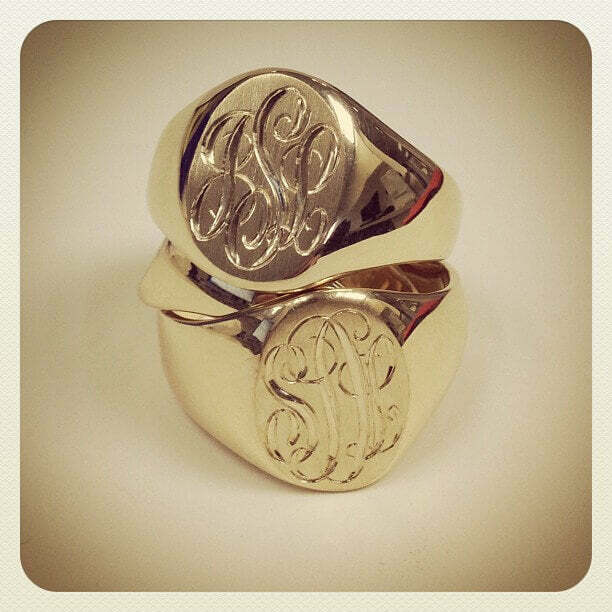 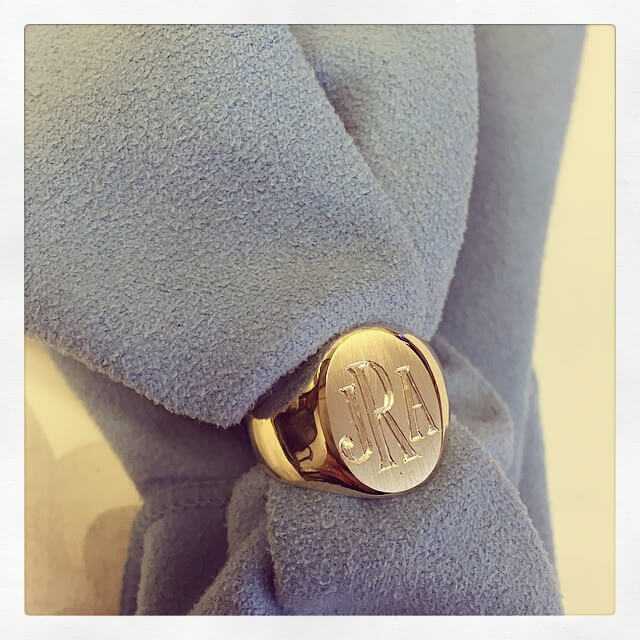 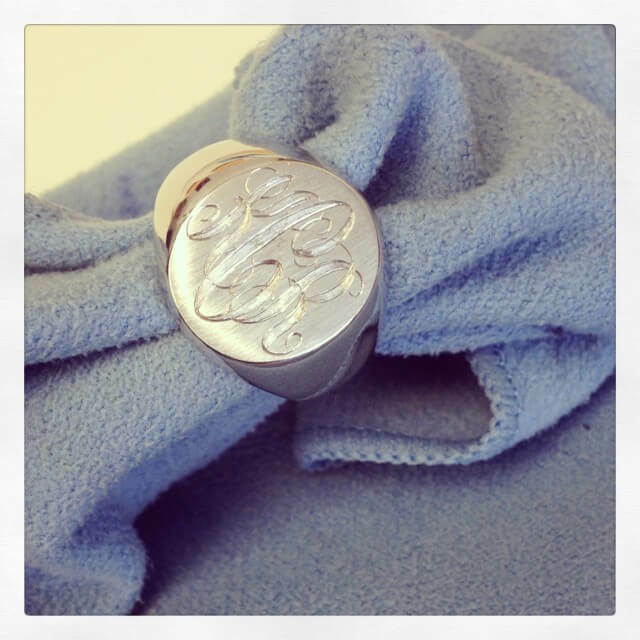 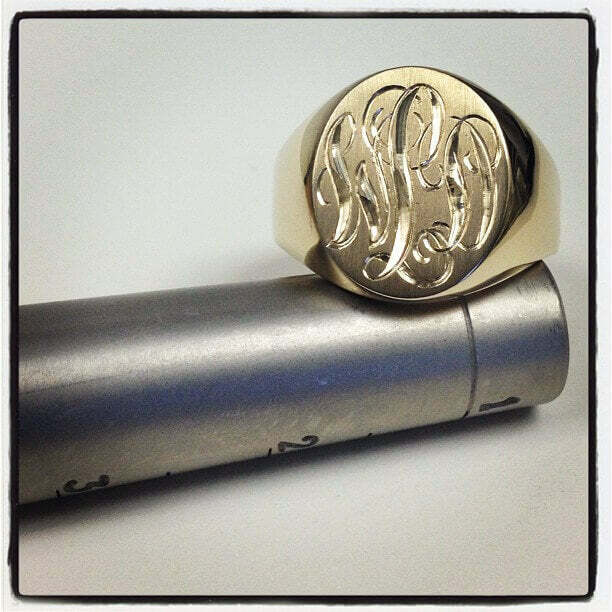 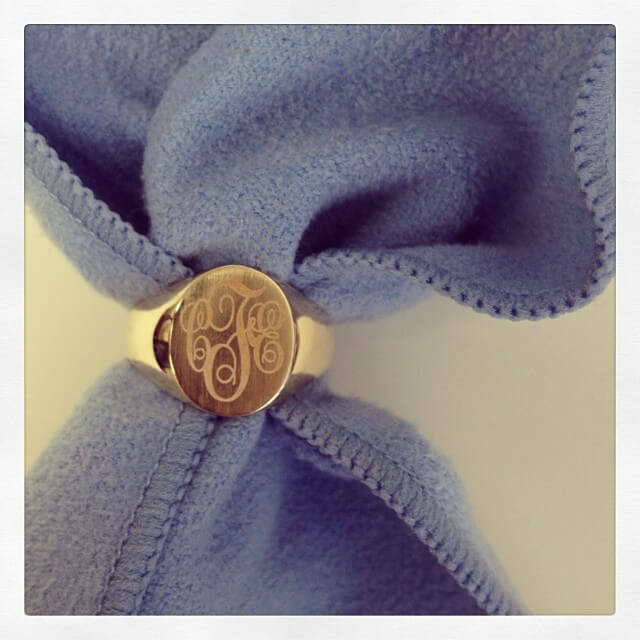 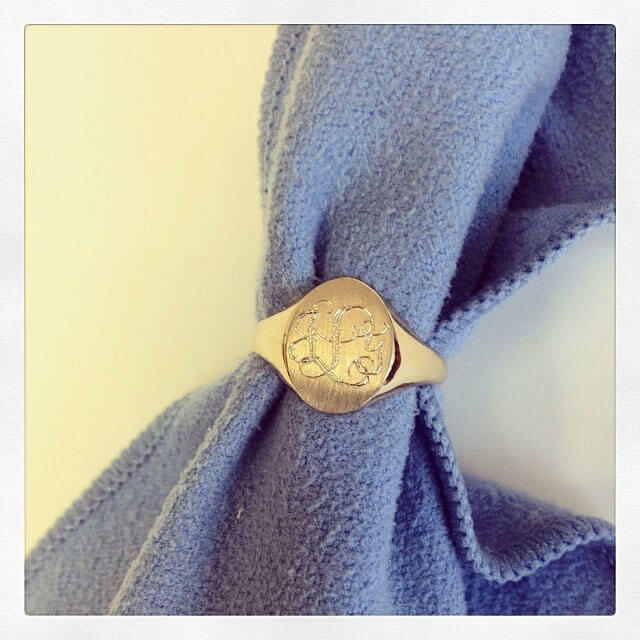 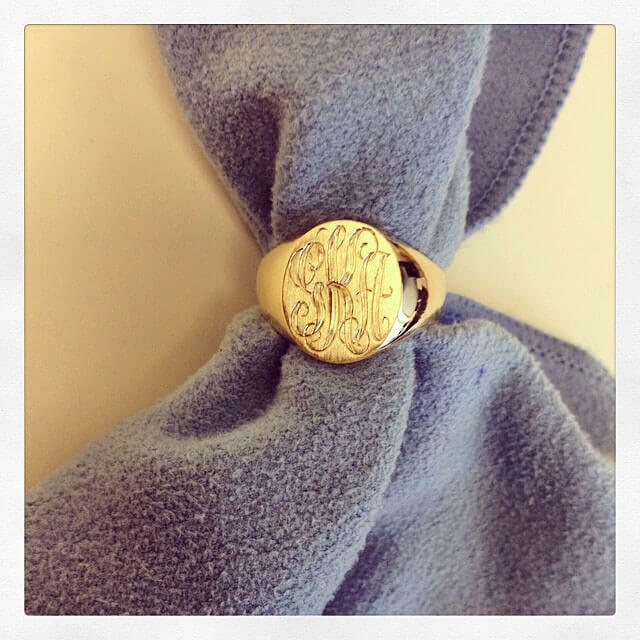 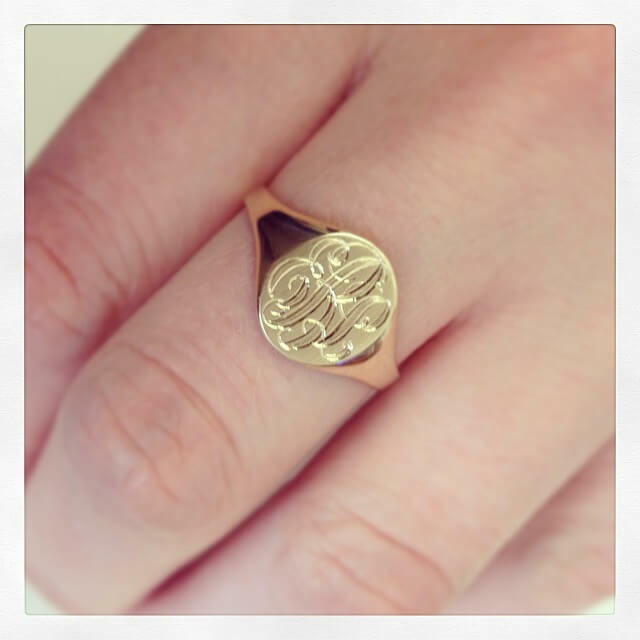 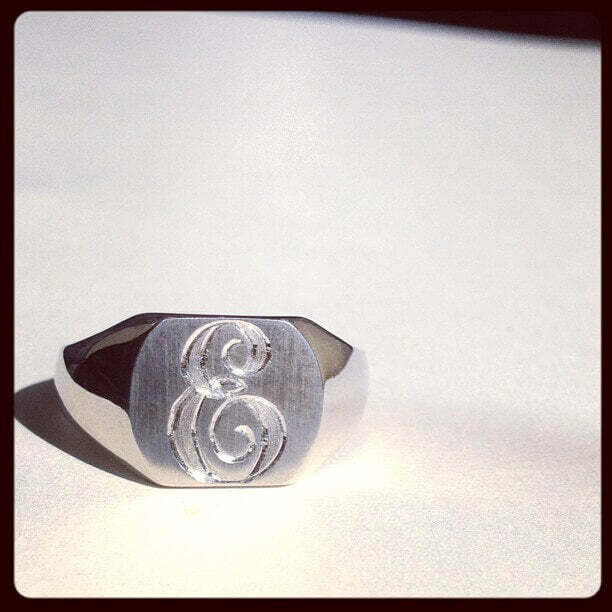 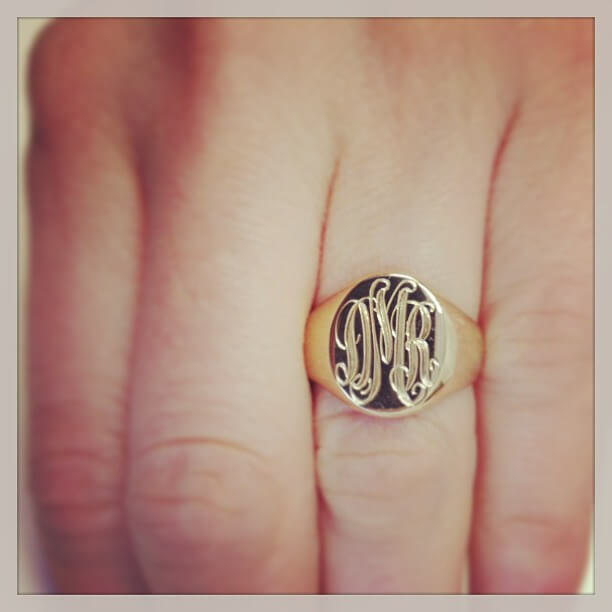 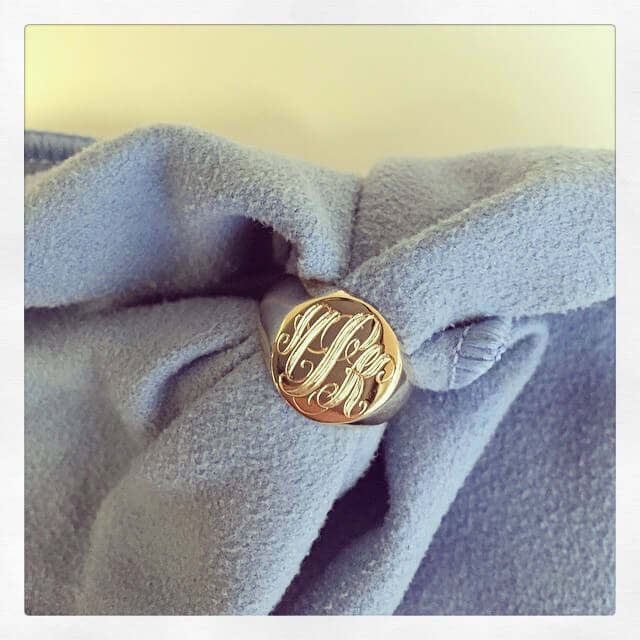 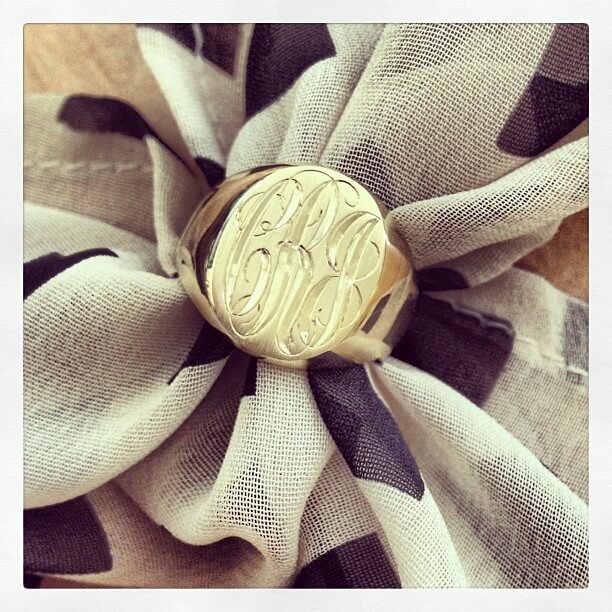 Custom signet ring based off of style number SRRS126 with hand engraving and milgrain. 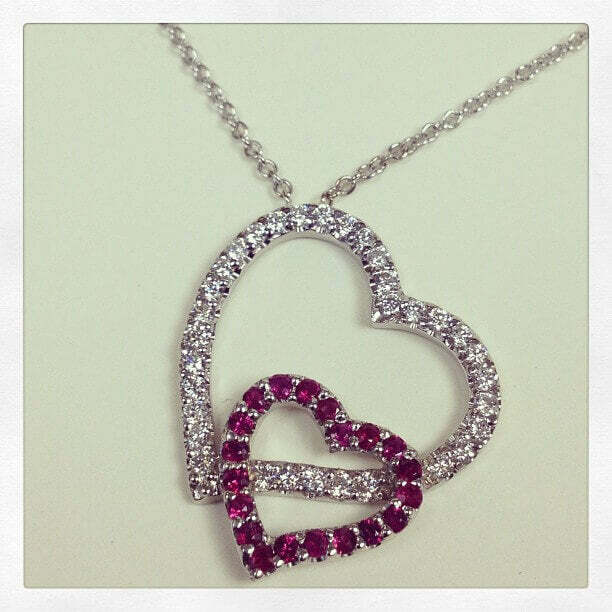 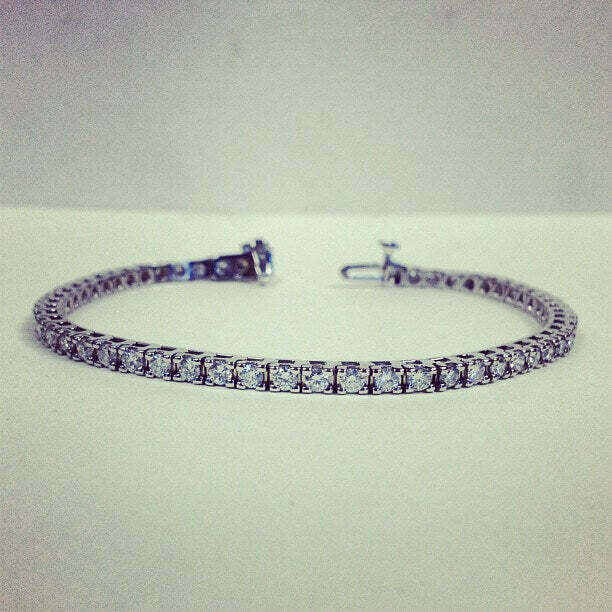 14k White Gold, 1.20 cttw. 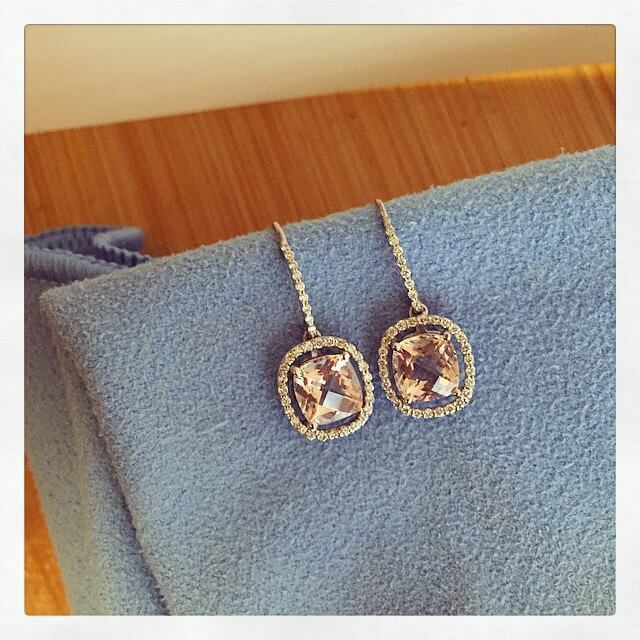 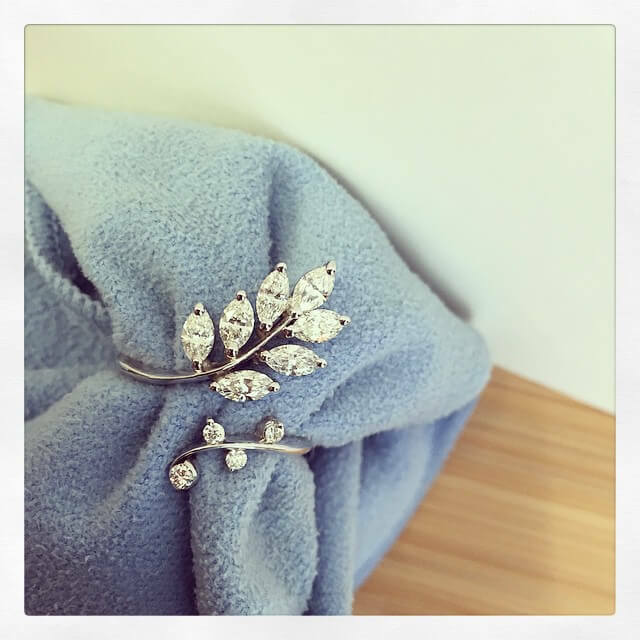 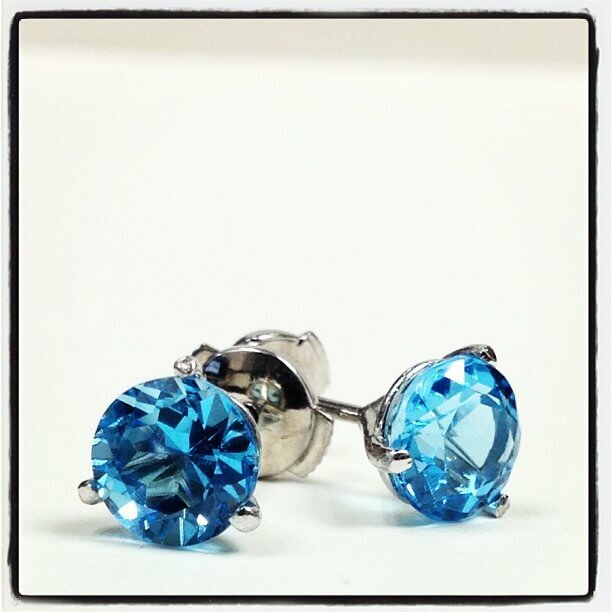 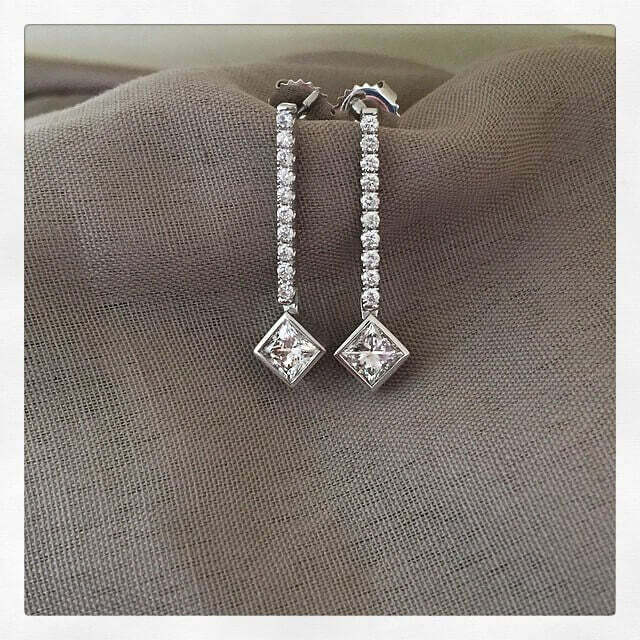 Custom diamond drop earrings featuring the client's 0.90 cttw. 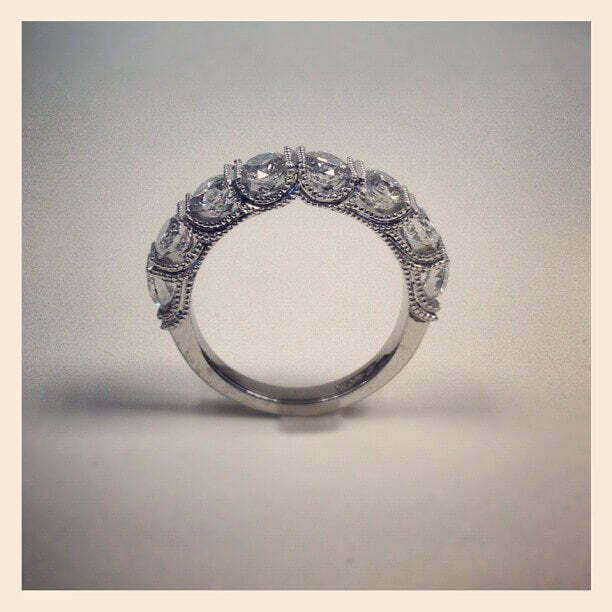 princess cut diamonds in bezel settings and pave set round brilliant cut diamonds, 0.30 cttw. 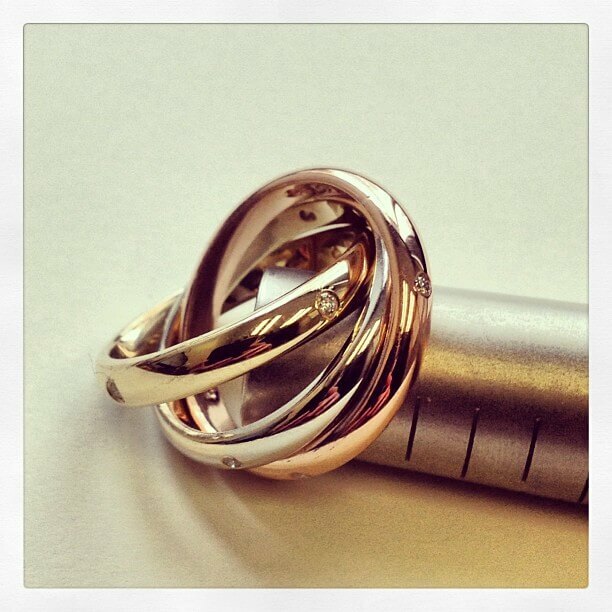 14k Rose Gold, 2.77 cttw. 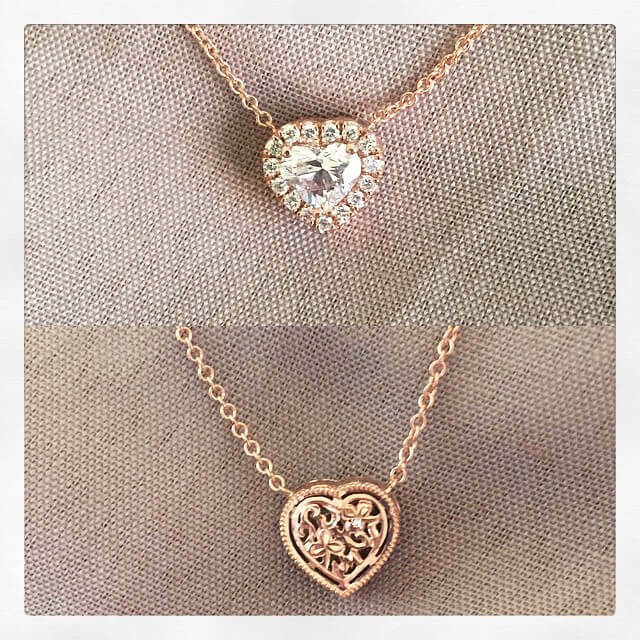 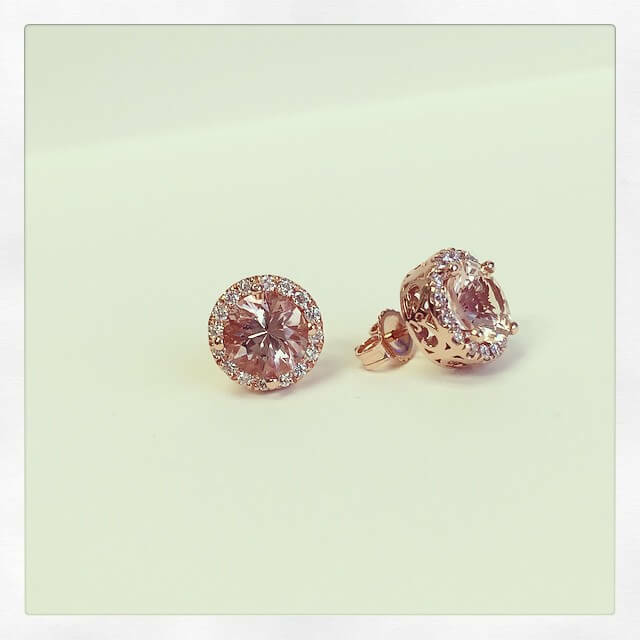 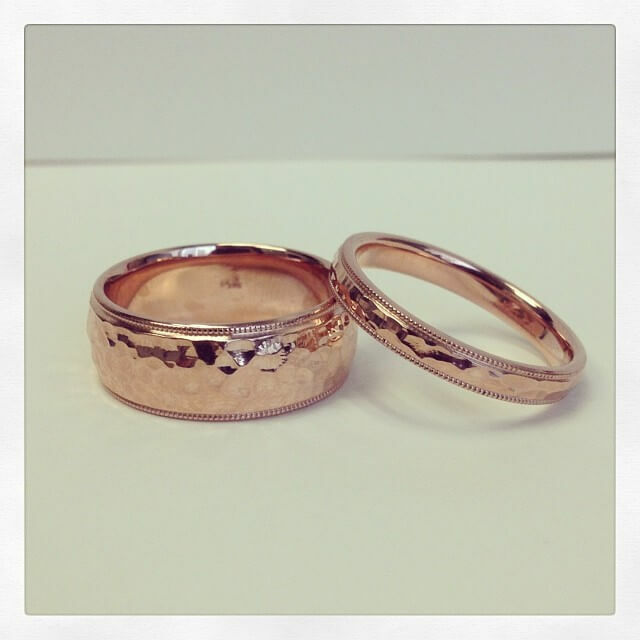 14kt Rose Gold, 2.03 cttw. 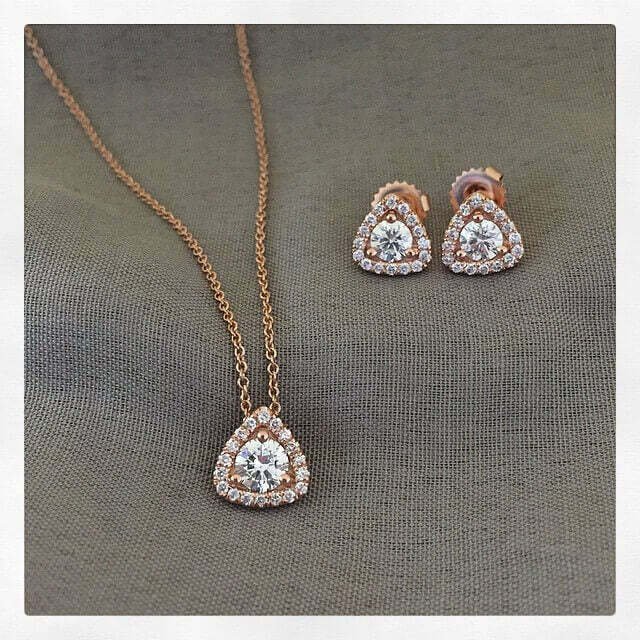 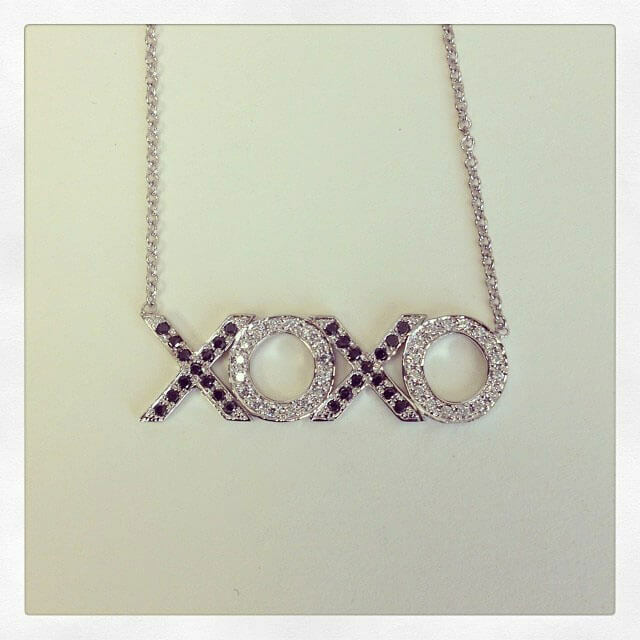 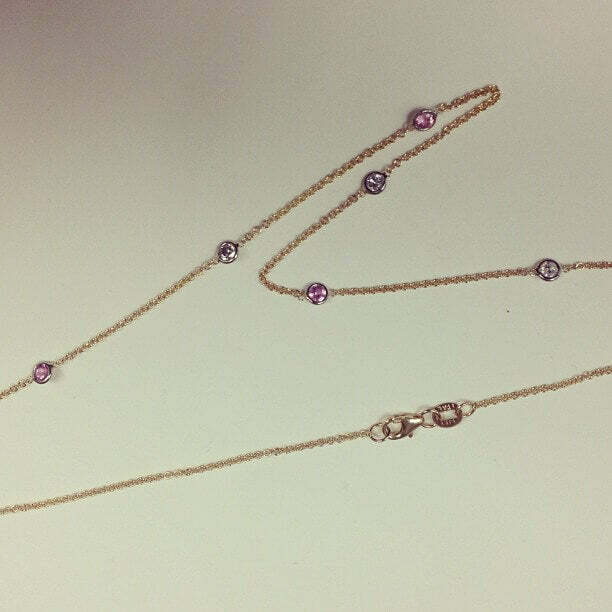 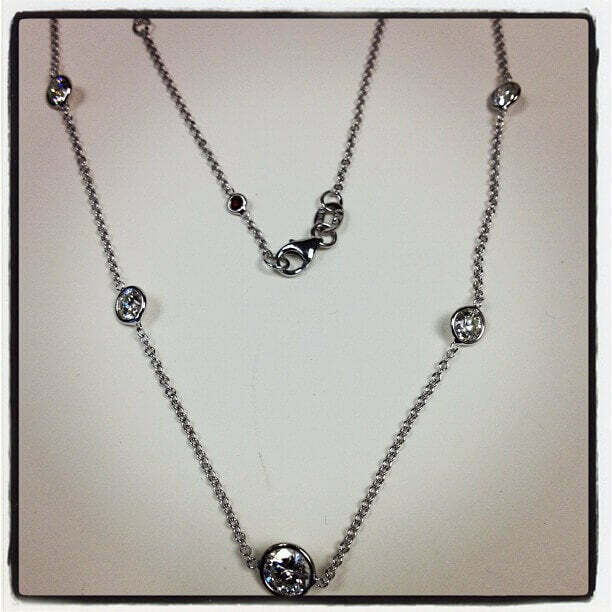 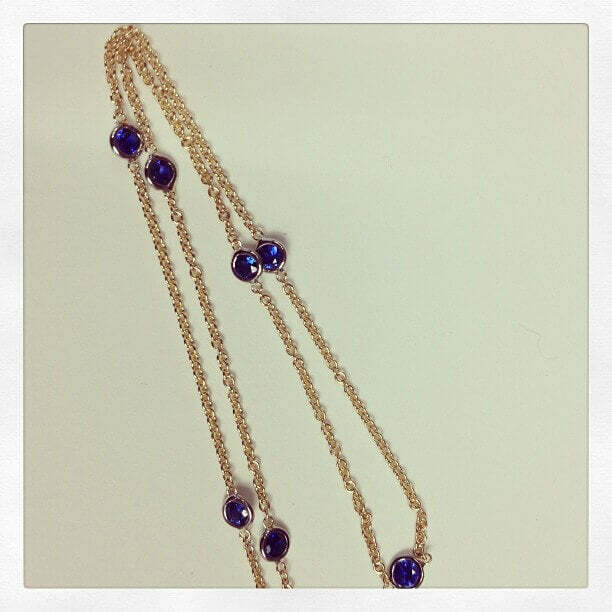 Custom diamond necklace and earring set featuring a triangle halo design. 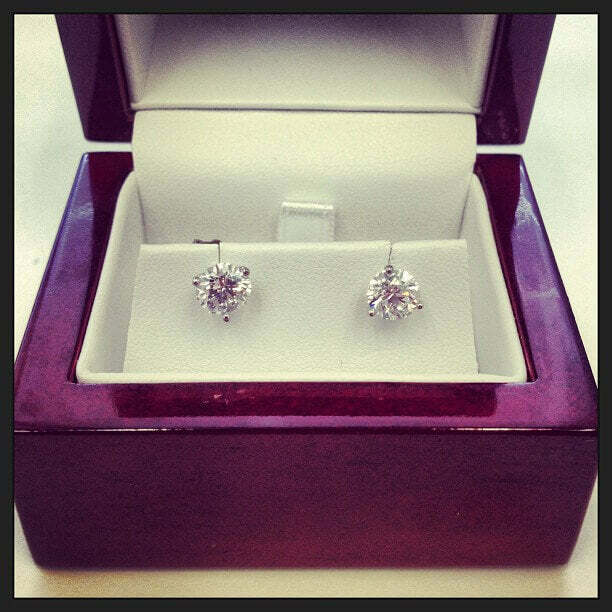 Earrings feature 0.40 ct. GIA certified center diamonds, and the necklace features a 0.59 ct. GIA certified center diamond. 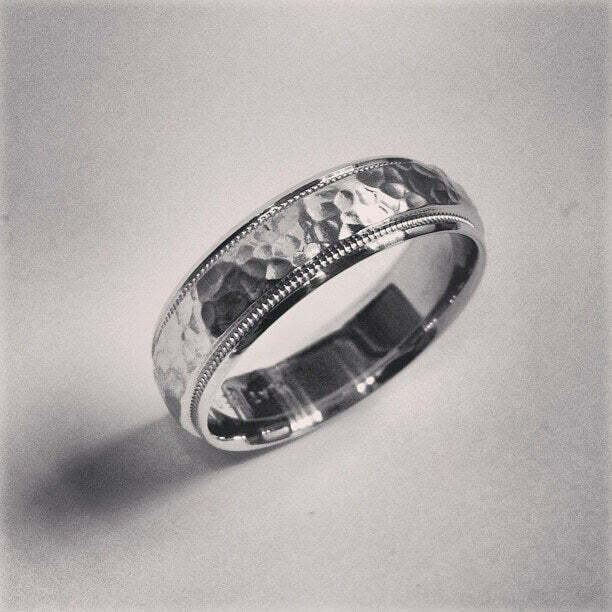 14k White Gold, 0.15 cttw. 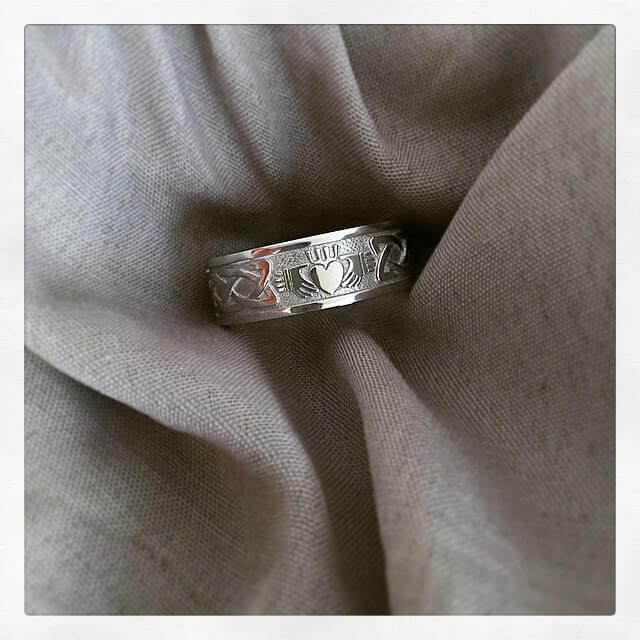 14kt White Gold, 7.77 cttw. 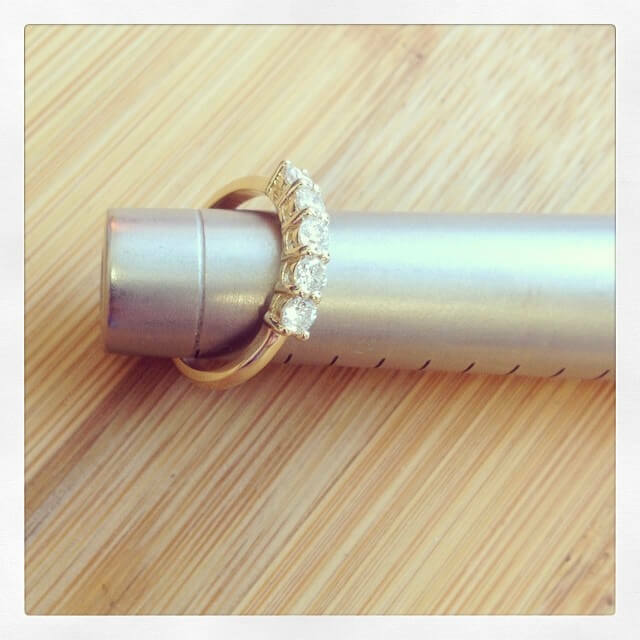 14kt Yellow Gold, 0.11 cttw. 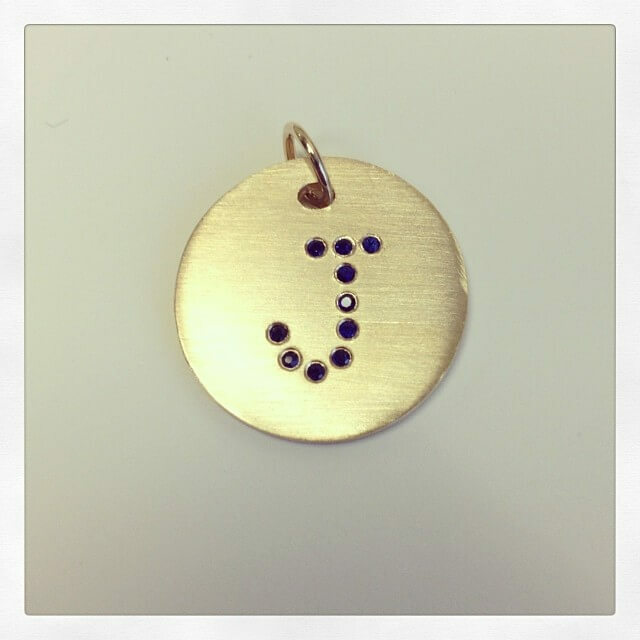 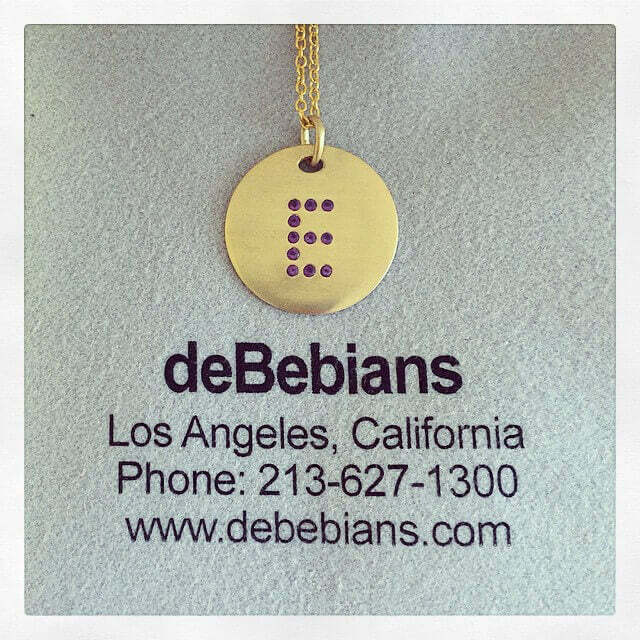 Letter E Amethyst Pendant with 18 inch chain. 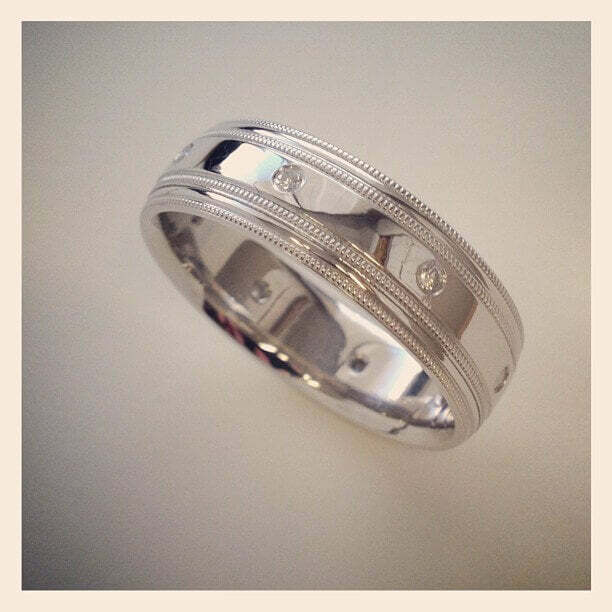 18kt White Gold, 0.30 cttw. 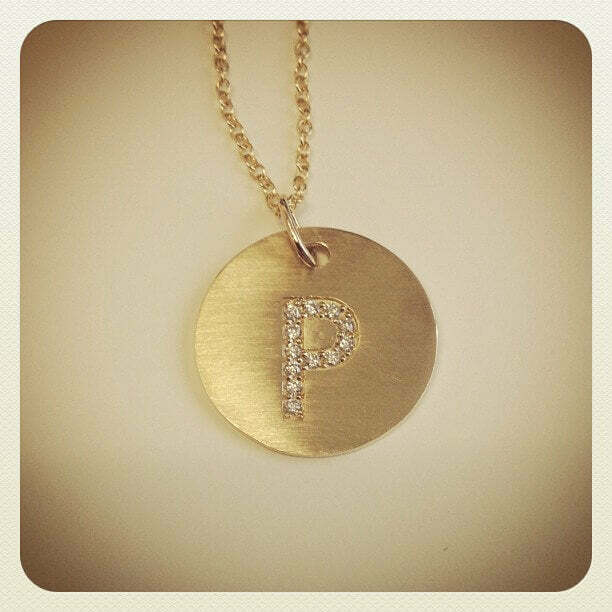 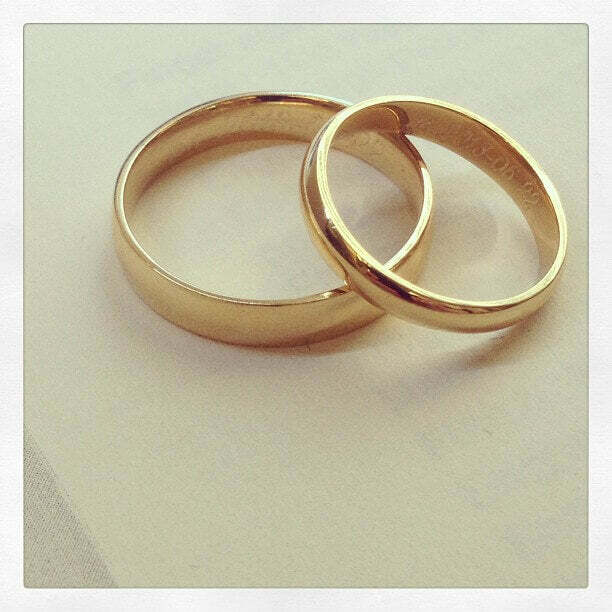 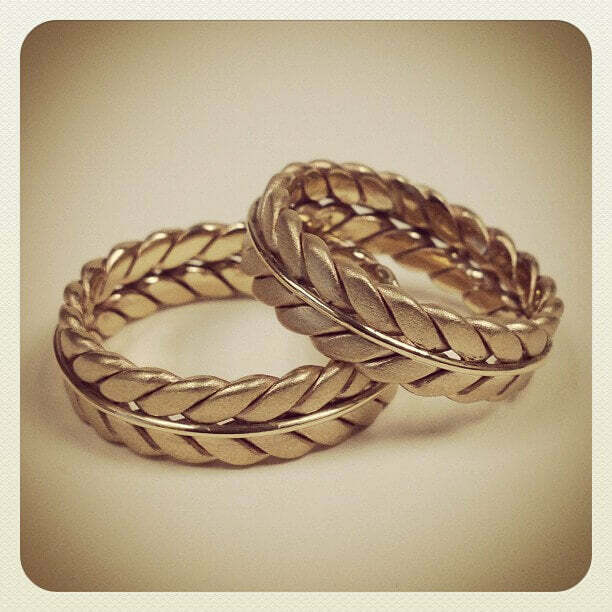 18kt Yellow Gold and Platinum, 3.00 cttw. 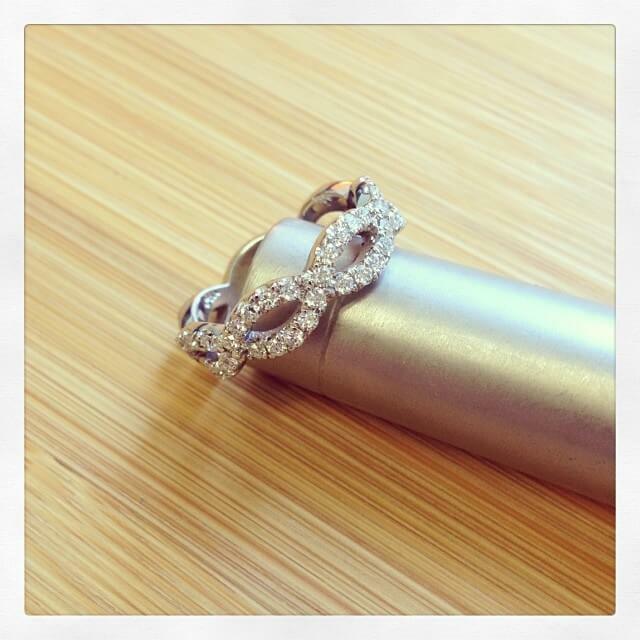 Custom two tone five stone ring with radiant cut diamonds, G-H color, SI clarity, and trellis setting. 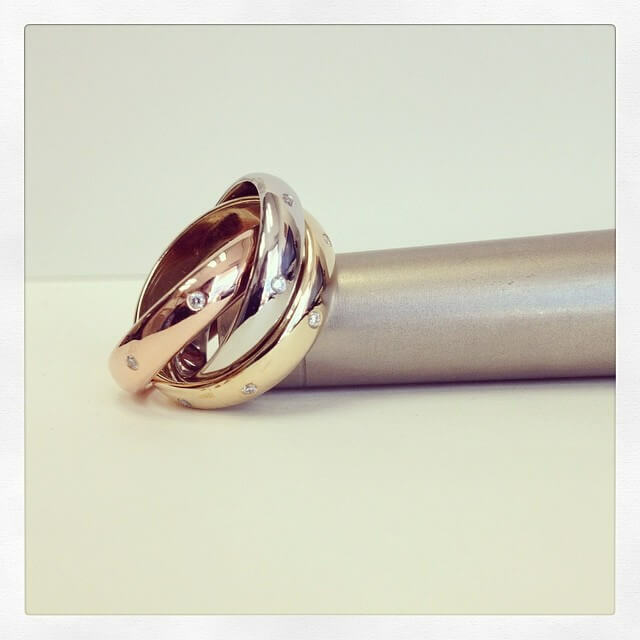 Platinum and 14kt Rose Gold, 0.80 cttw. 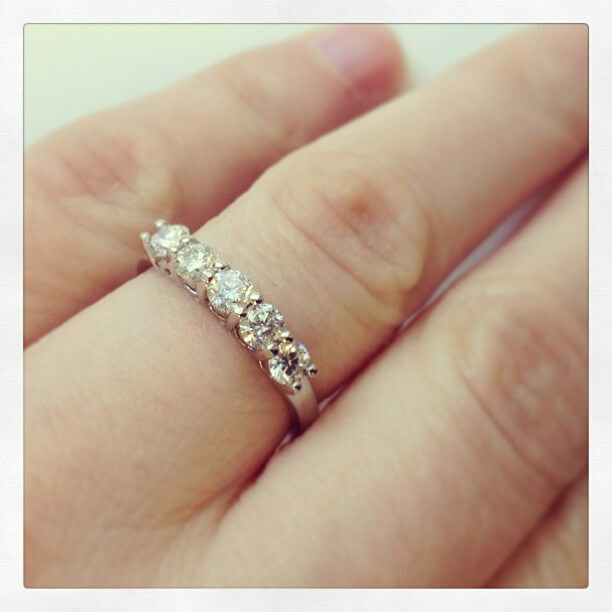 14kt White Gold, 3.40 cttw. 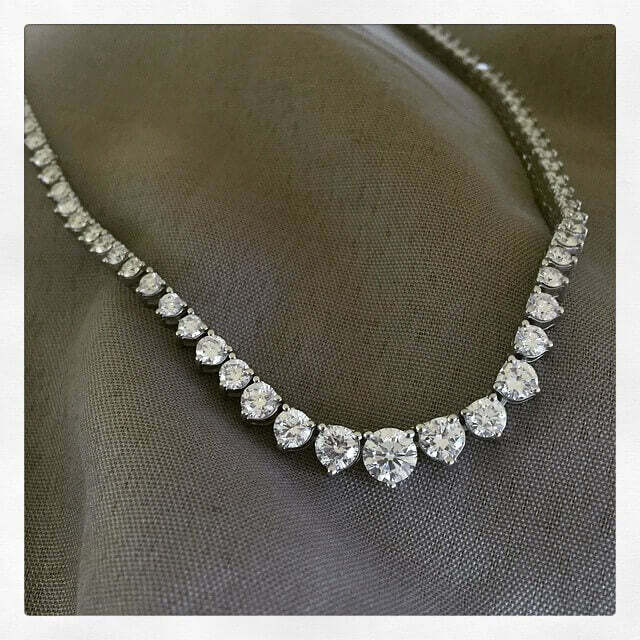 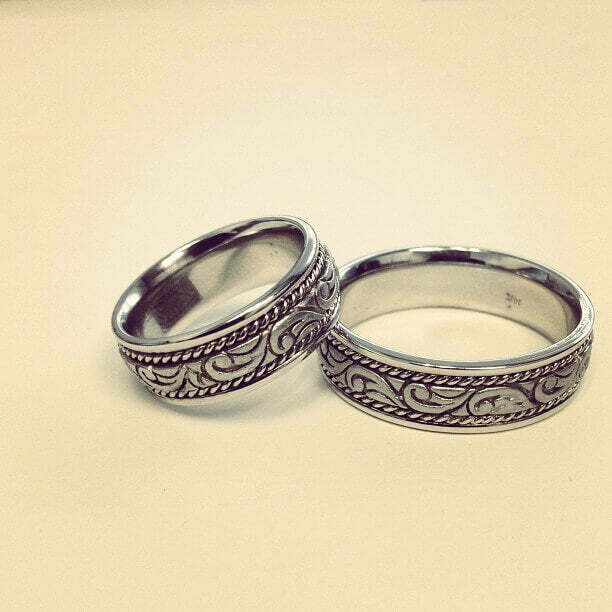 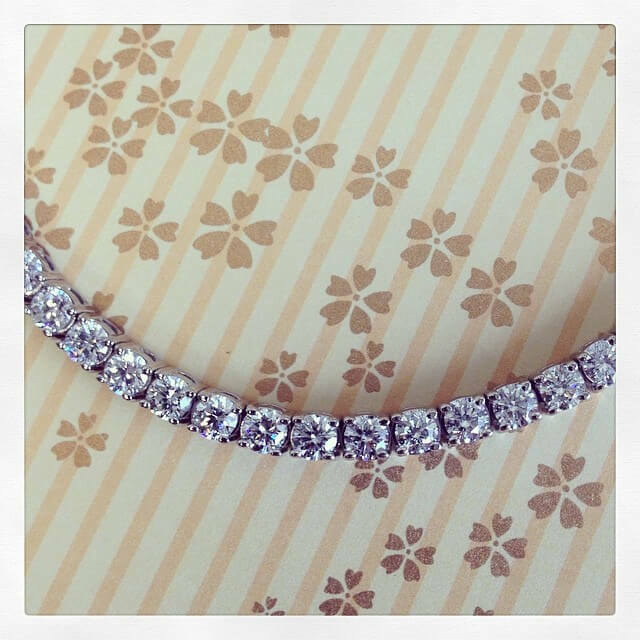 14kt White Gold, 1.50 cttw. 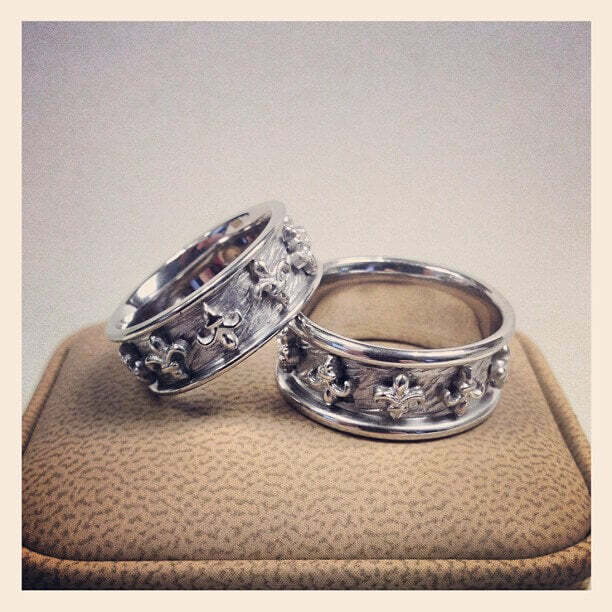 14kt White Gold, 0.72 cttw. 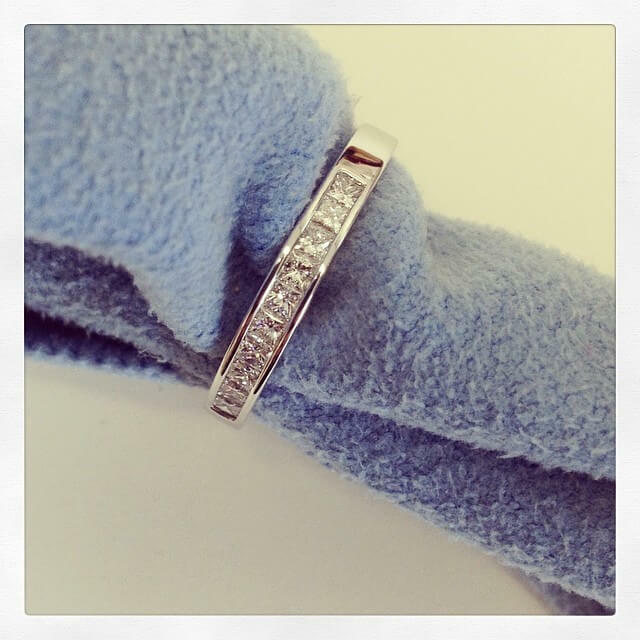 14kt White Gold, 0.50 cttw. 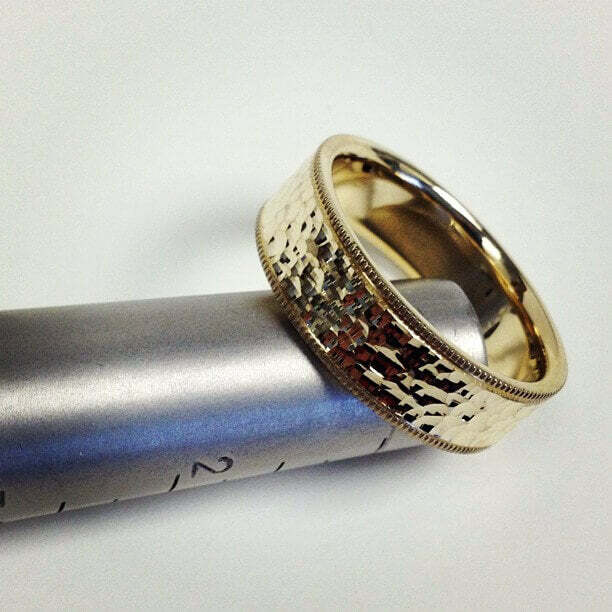 14kt Yellow Gold, 0.93 cttw. 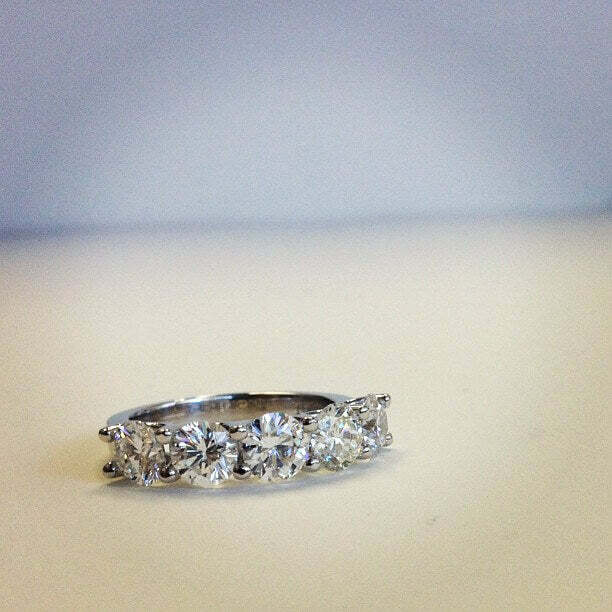 14kt White Gold, 1.10 cttw. 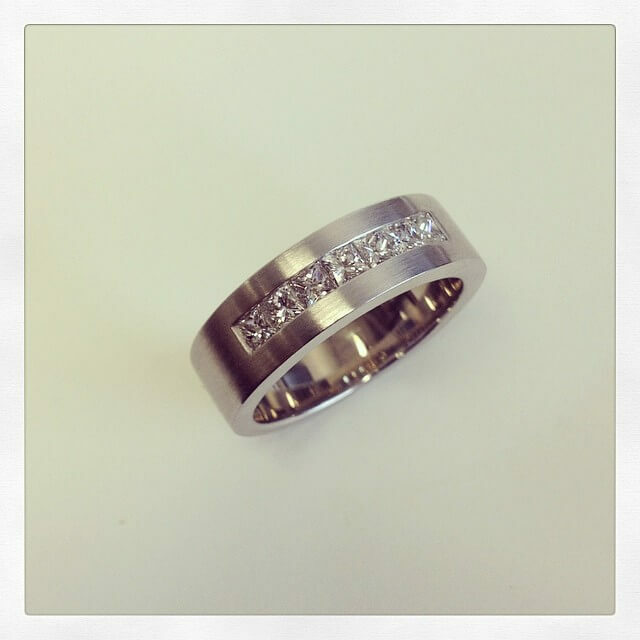 14kt White Gold, 0.33 cttw. 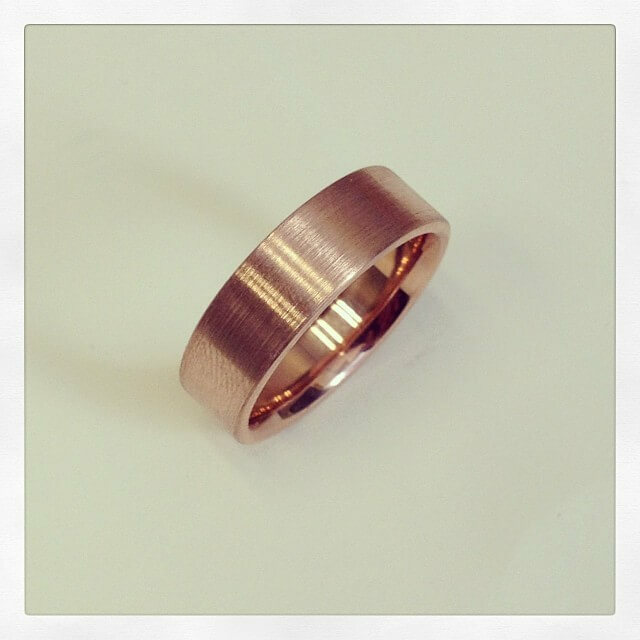 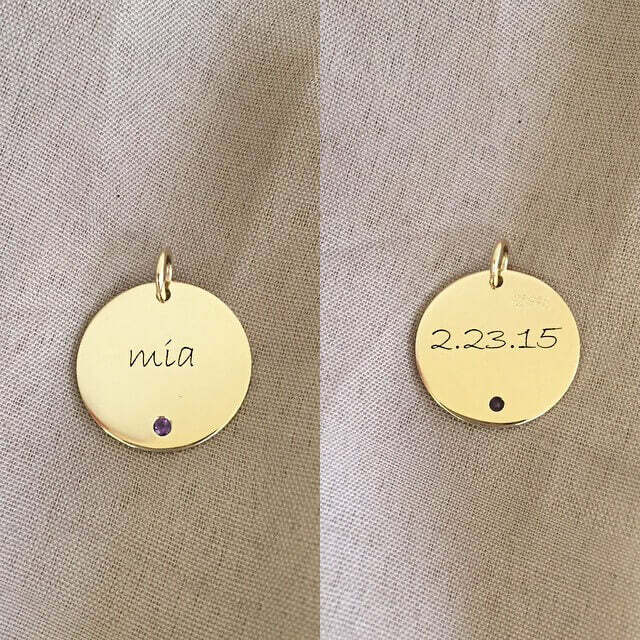 14kt Tri Color Gold, 0.24 cttw. 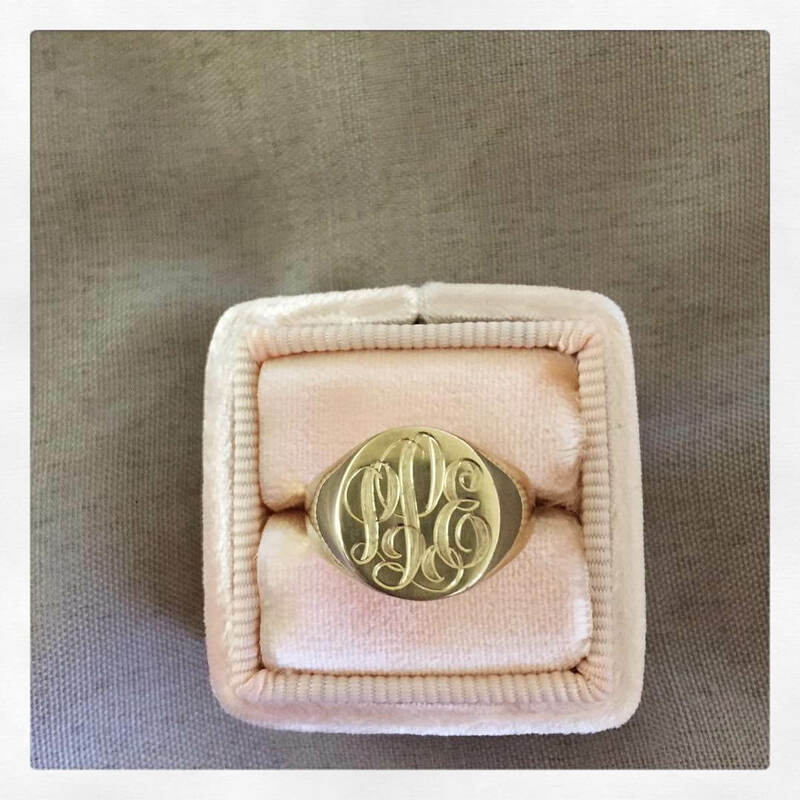 14kt Yellow Gold, 0.50 cttw. 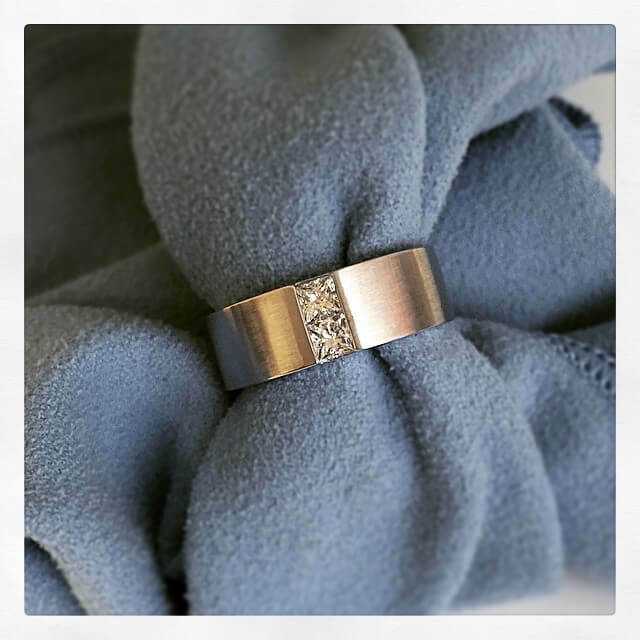 14kt White Gold, 0.55 cttw. 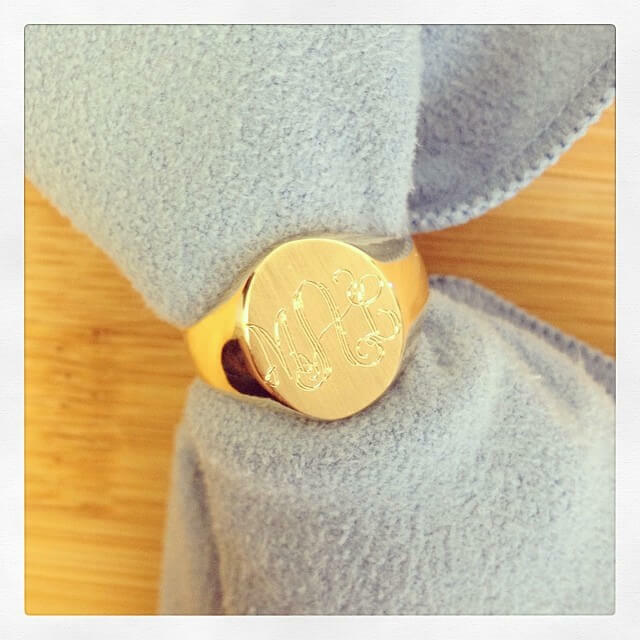 14kt Yellow Gold, 0.33 cttw. 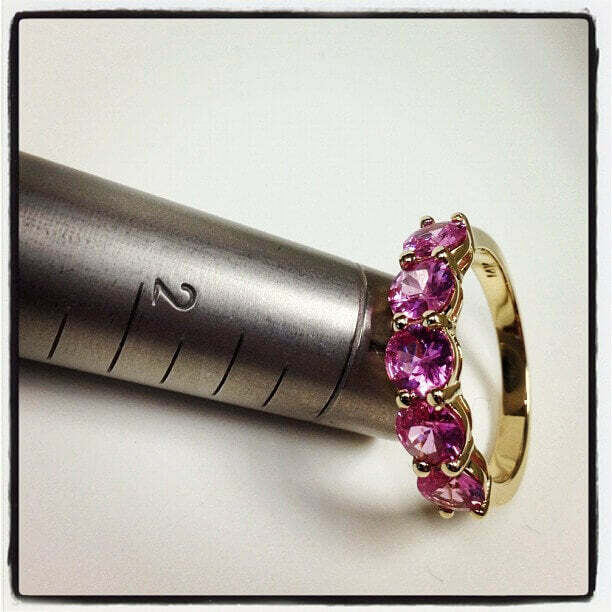 14kt Yellow Gold, 0.12 cttw. 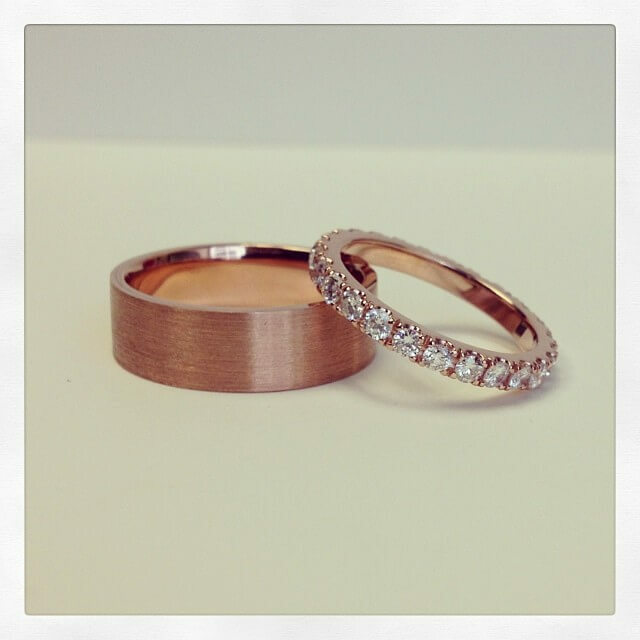 14kt Tri Color Gold, 0.16 cttw. 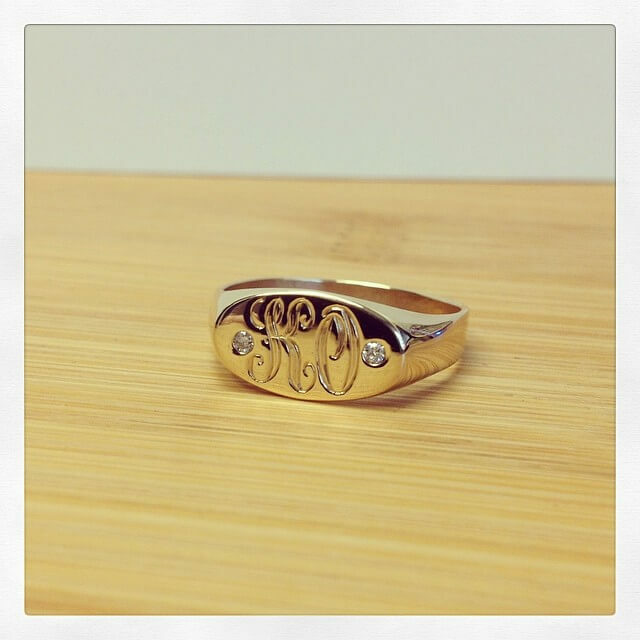 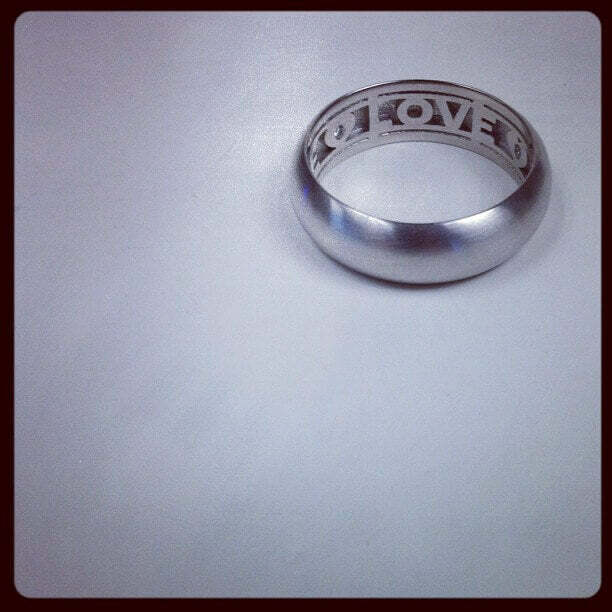 14kt White Gold, 1.35 cttw. 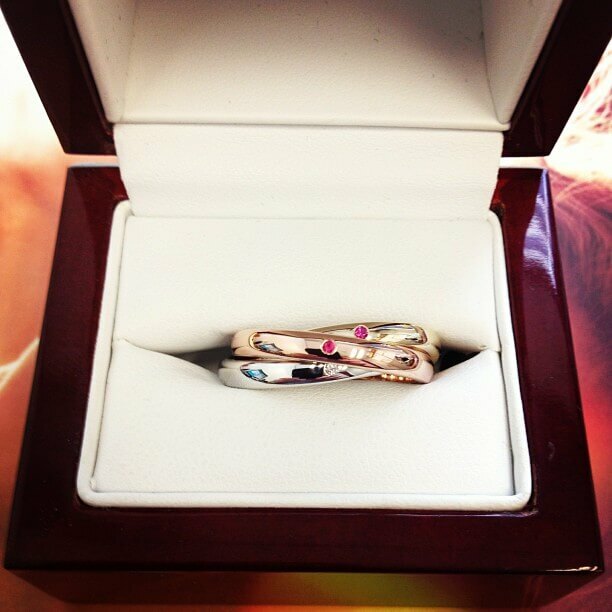 14kt White Gold, 1.73 ct.
Tri Color 14kt Gold, 0.12 cttw. 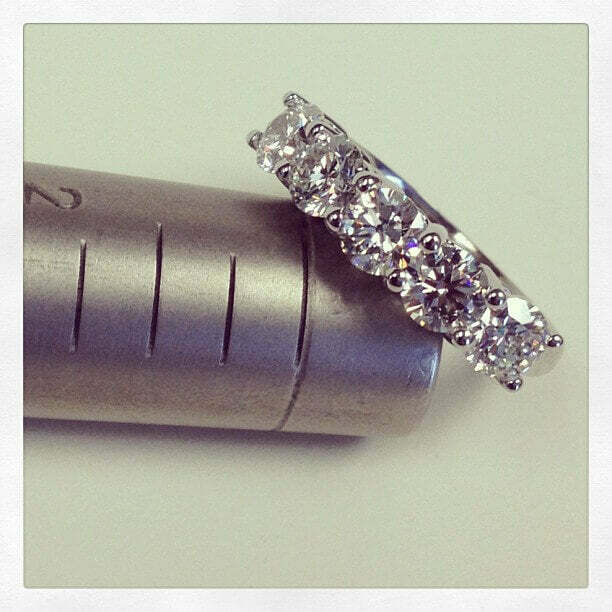 Center diamond is 1.26 ct., G/VS2 GIA certified. 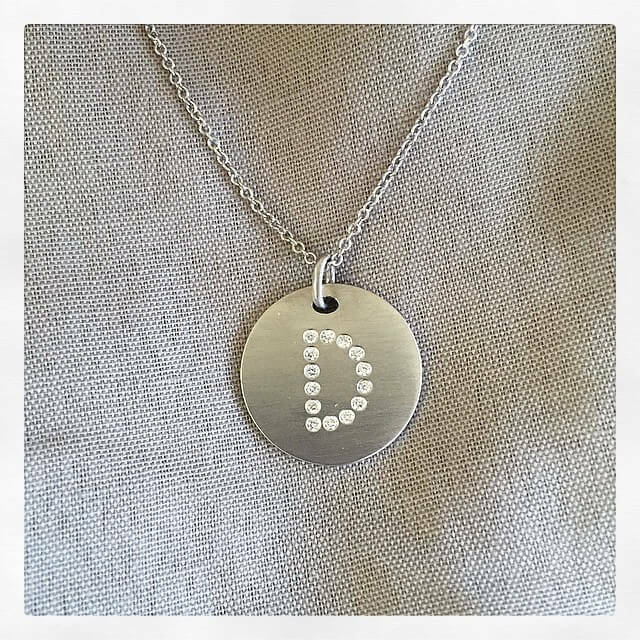 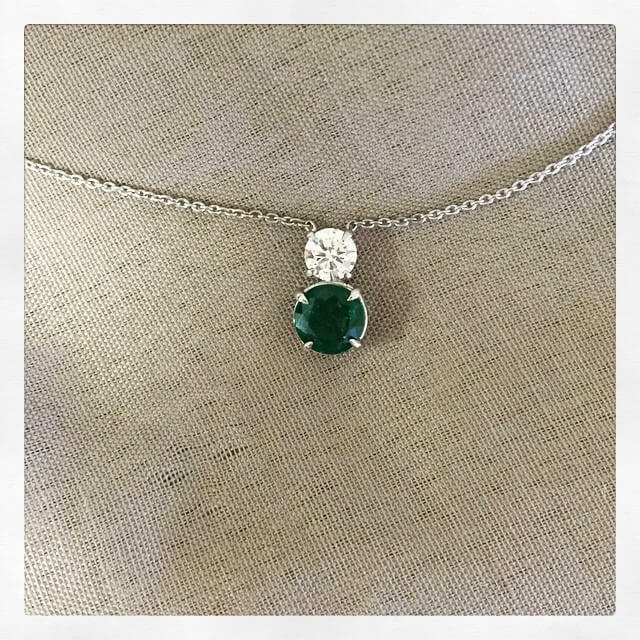 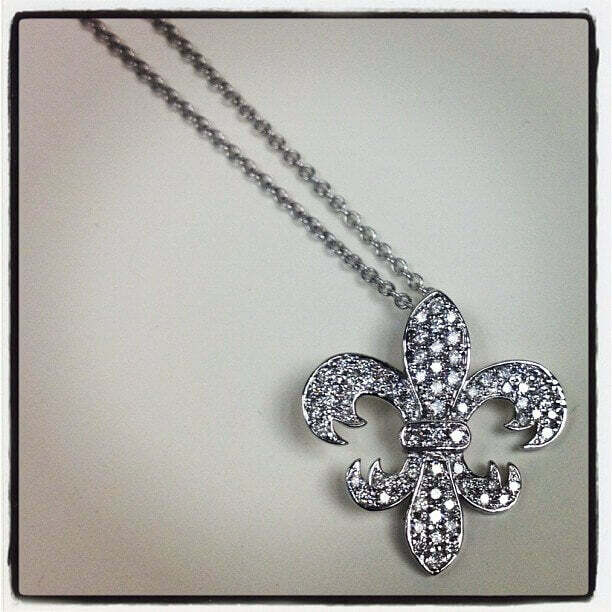 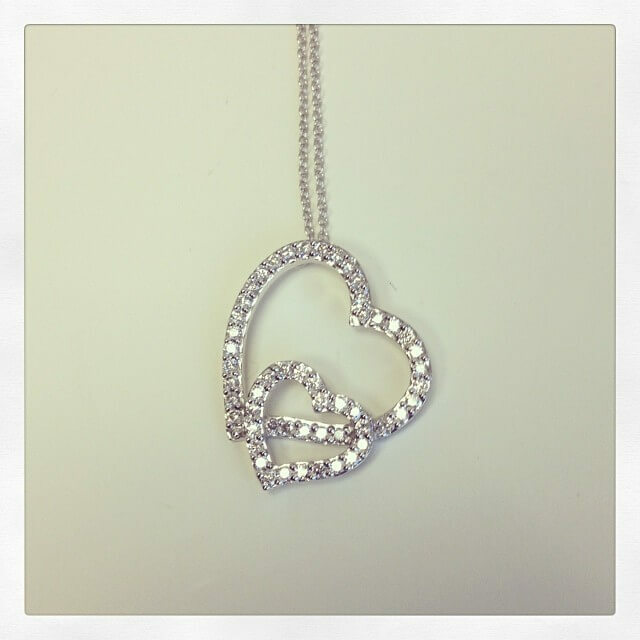 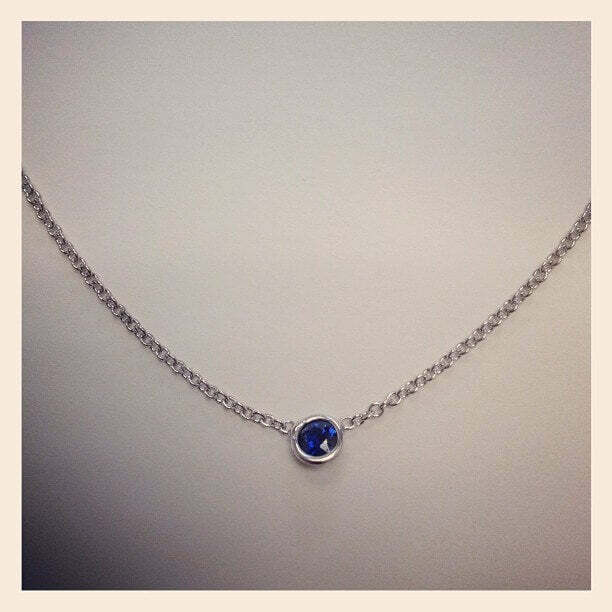 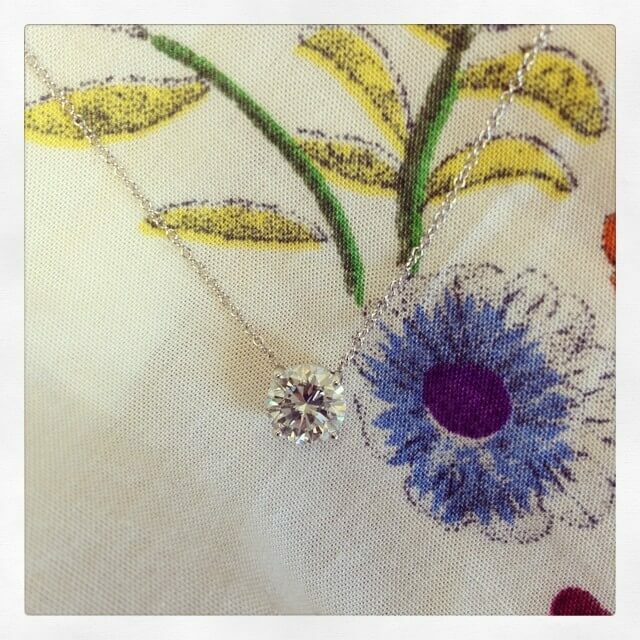 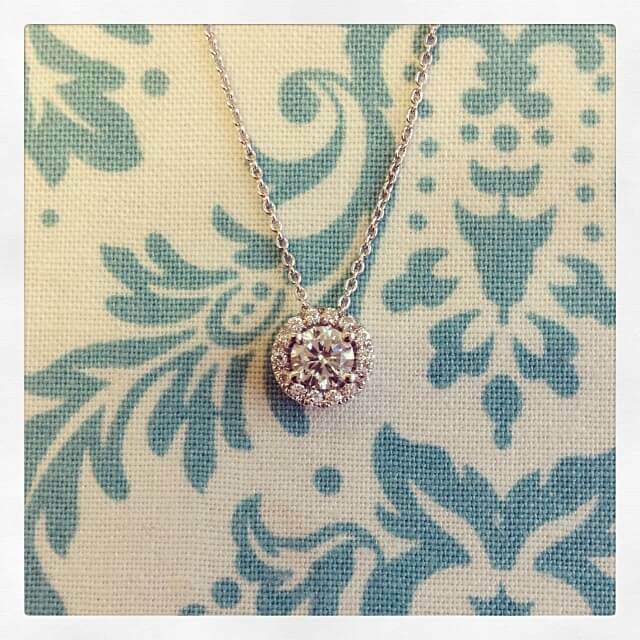 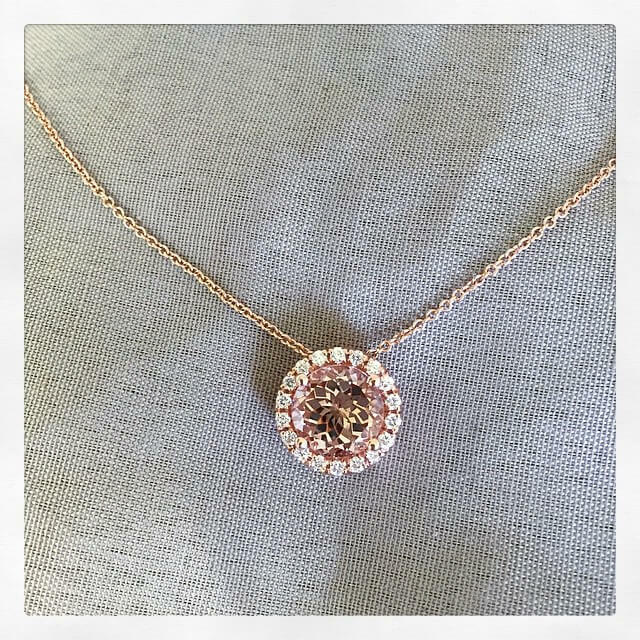 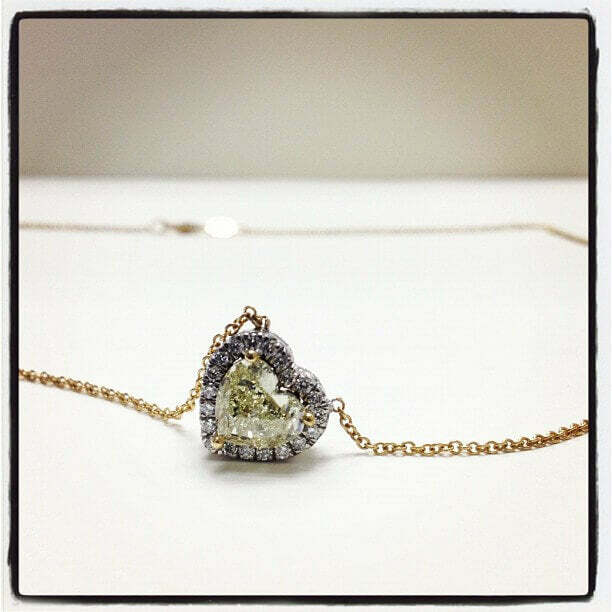 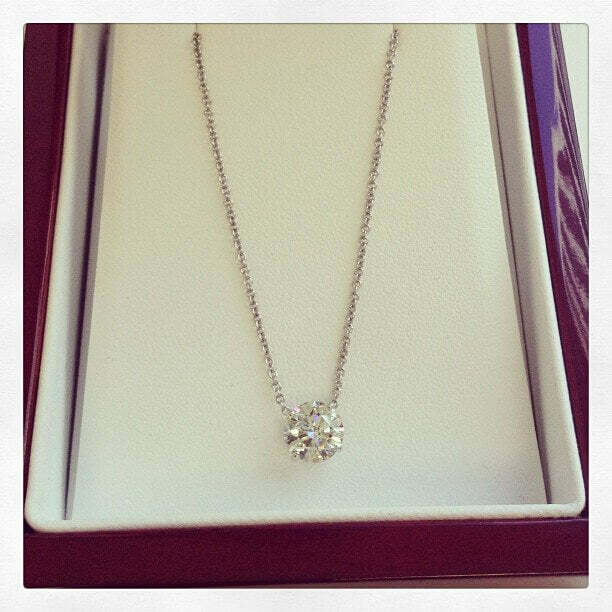 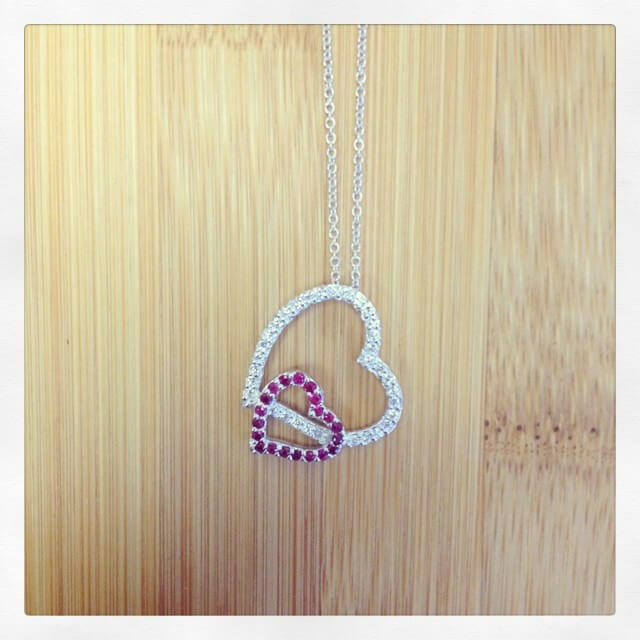 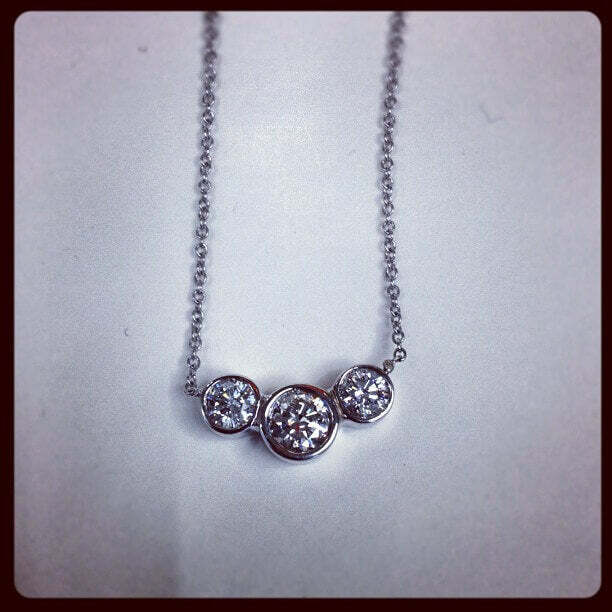 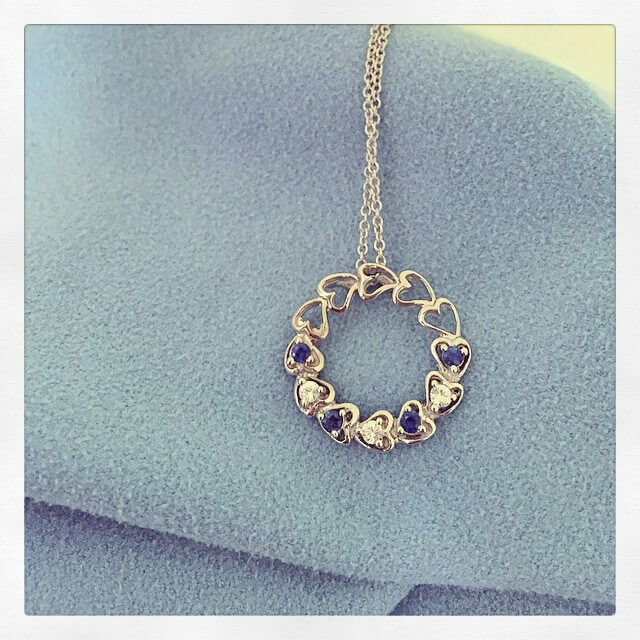 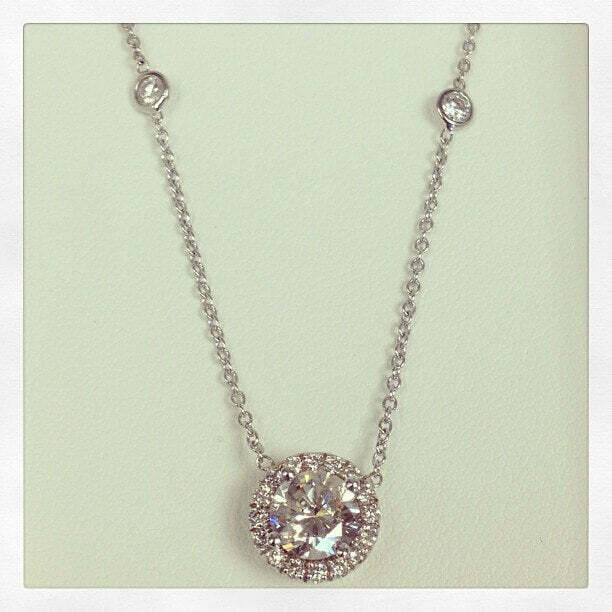 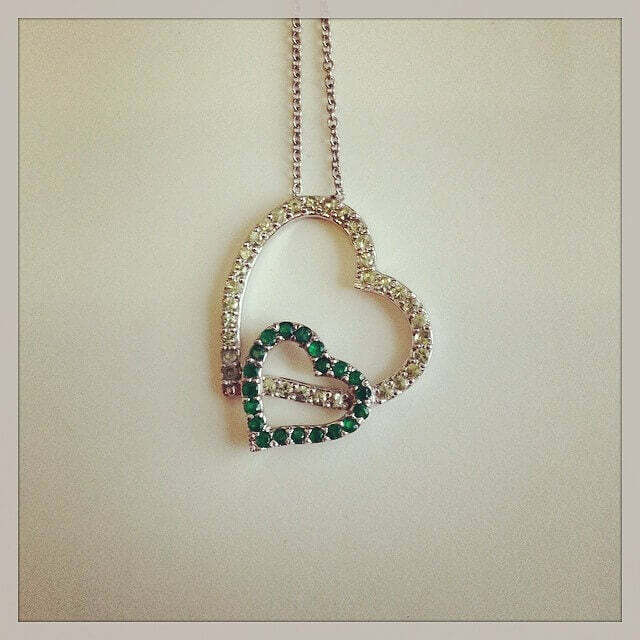 Design is based on our diamond solitaire pendant. 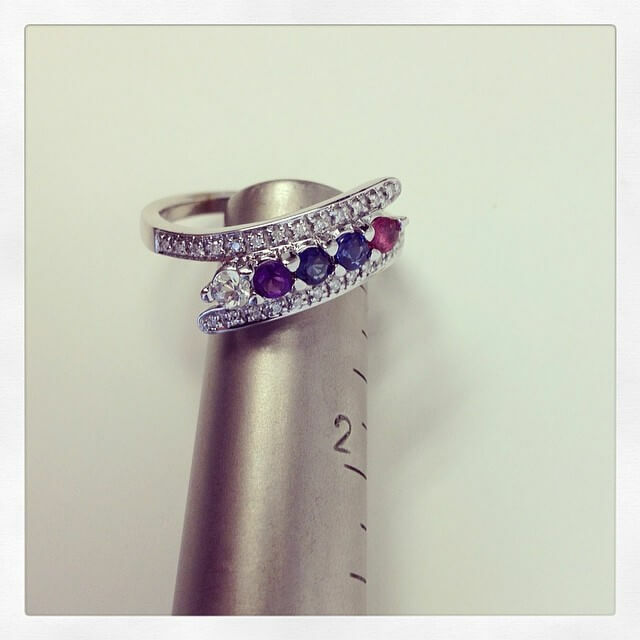 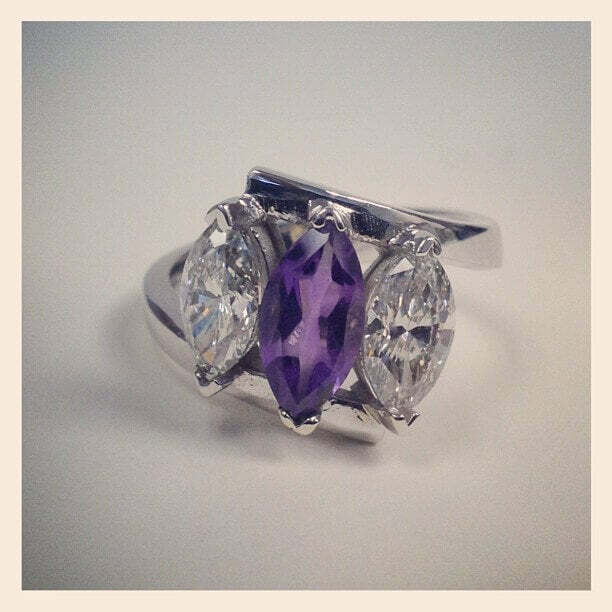 Ring features the client's amethyst marquise gemstone. 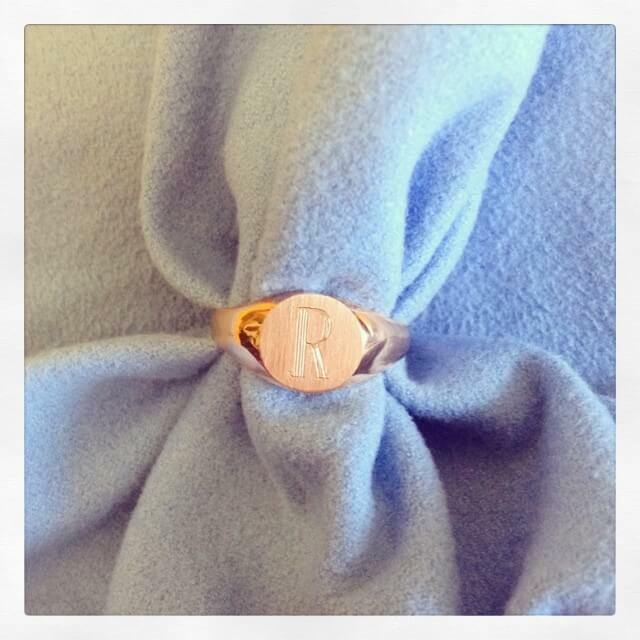 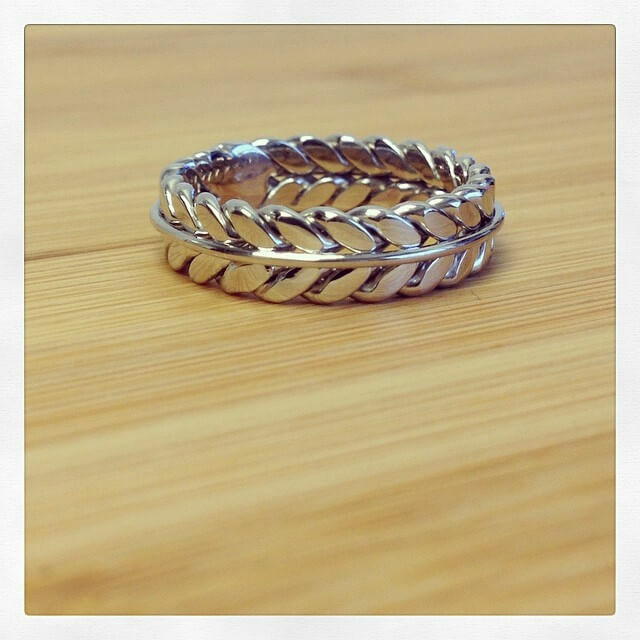 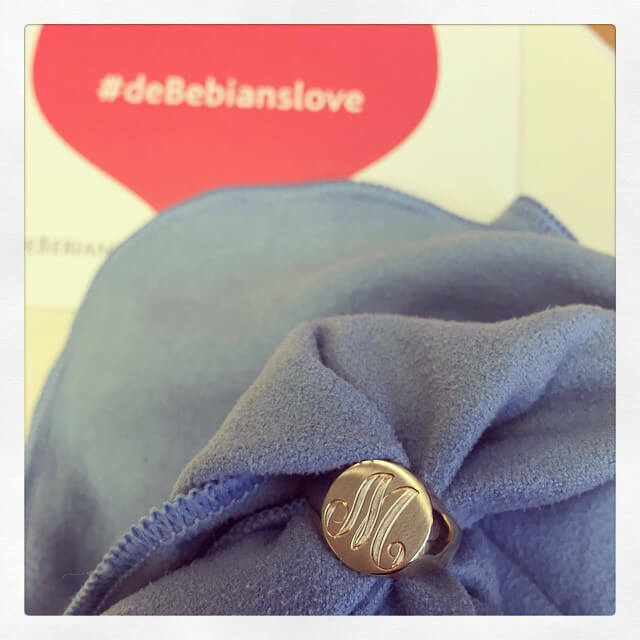 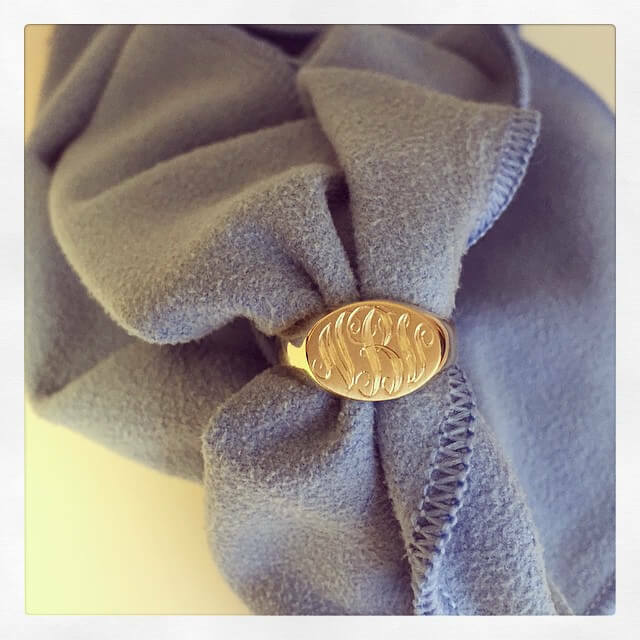 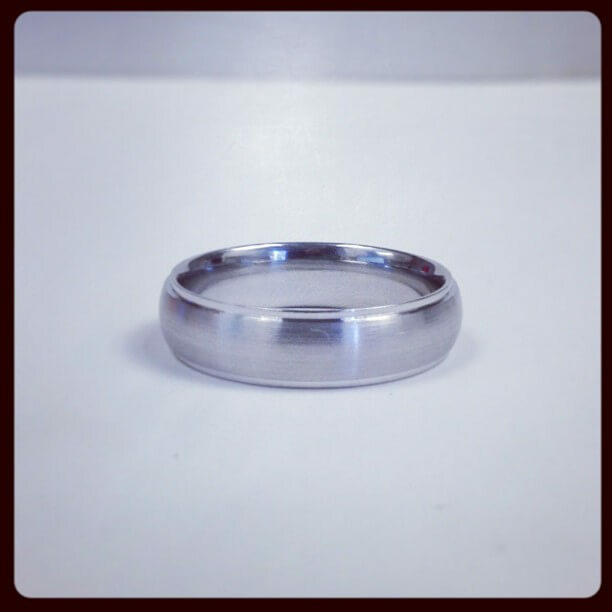 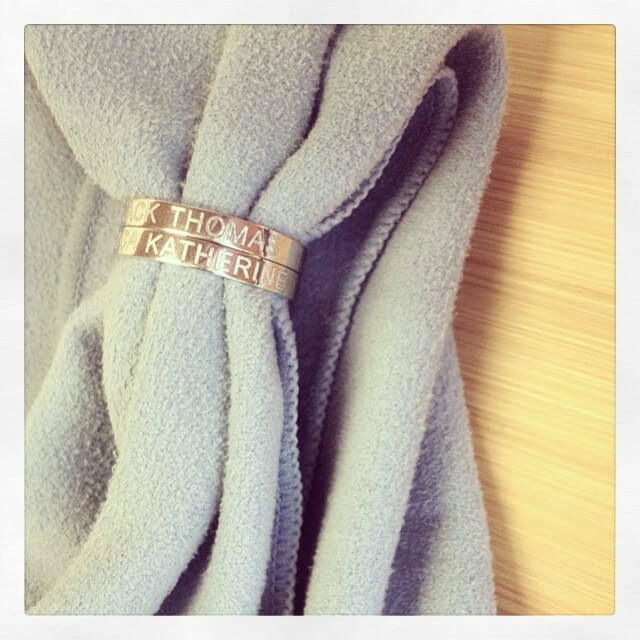 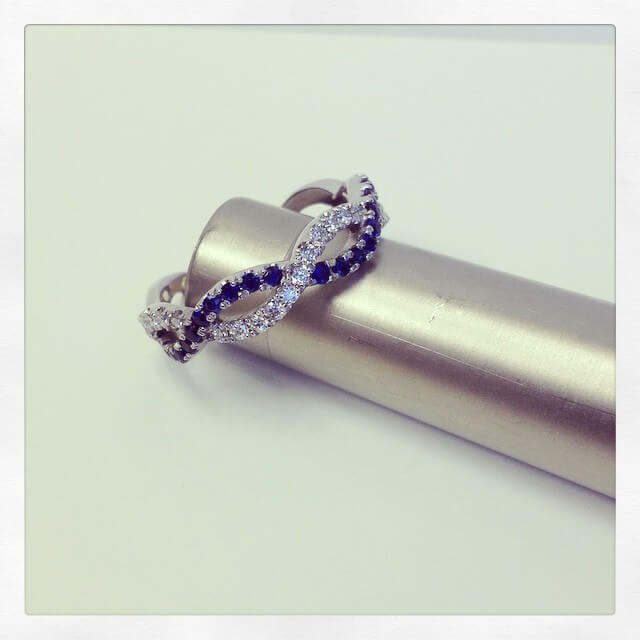 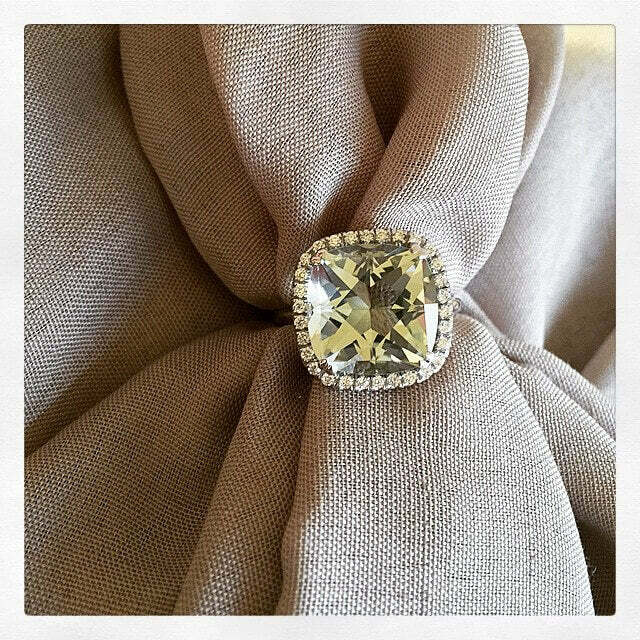 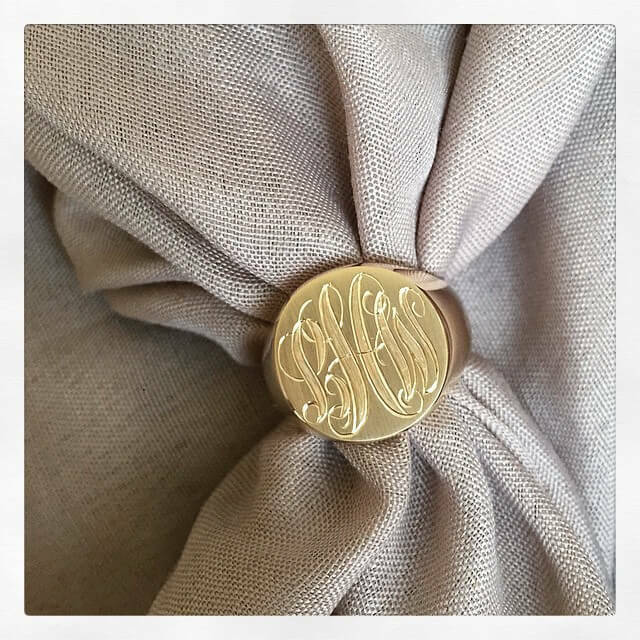 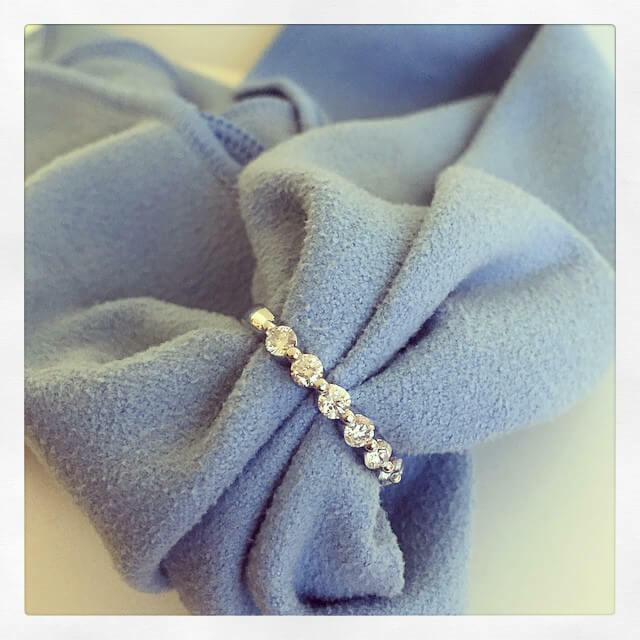 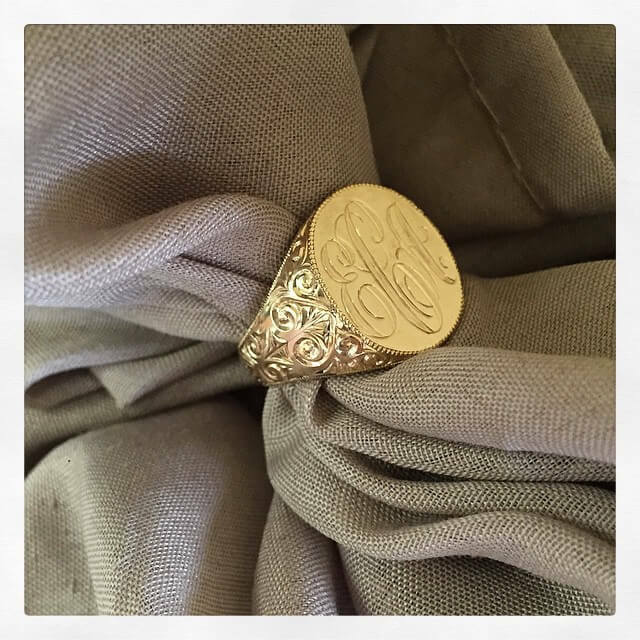 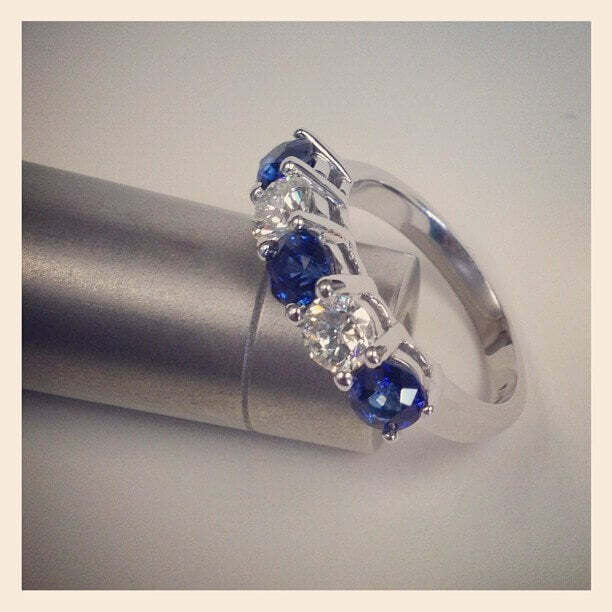 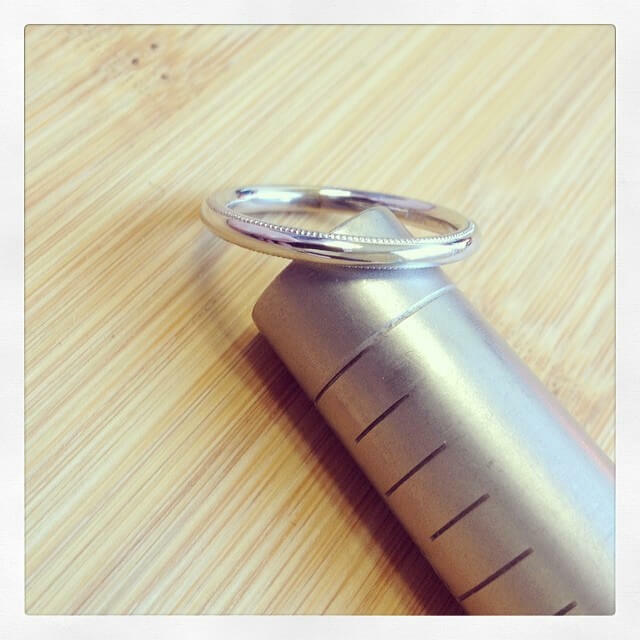 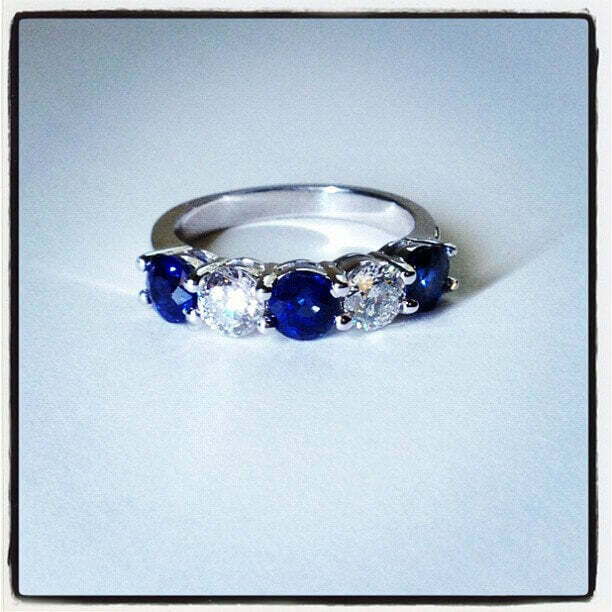 This ring was originally created as a custom piece but now is available on our website as a stockable item at 1.30 cttw. 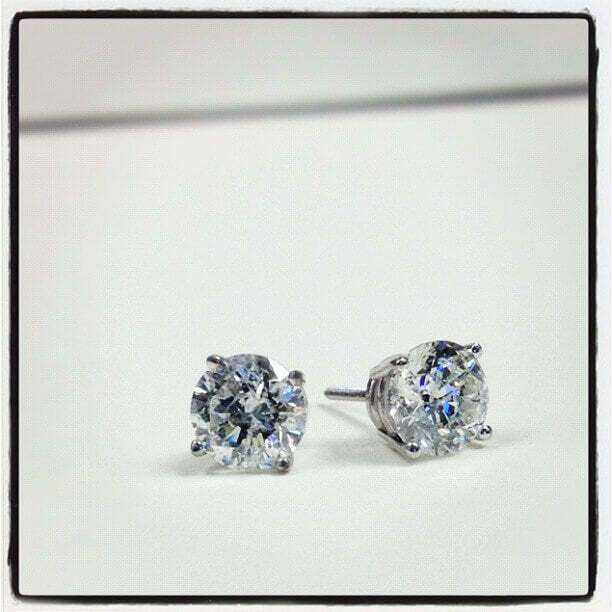 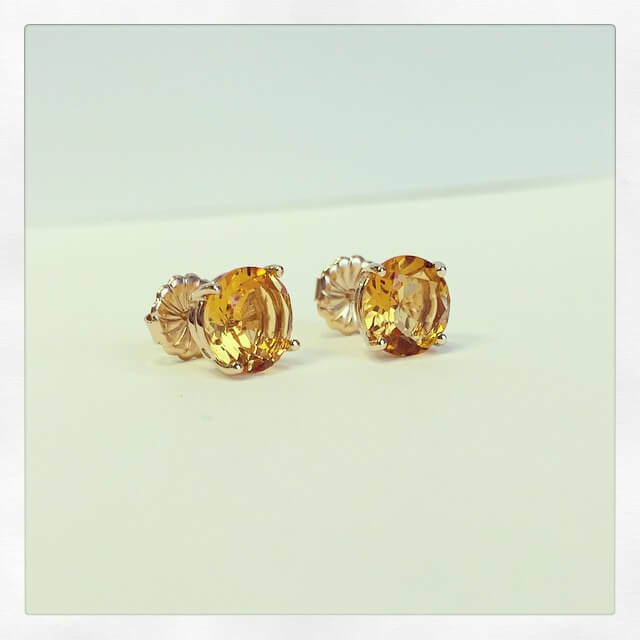 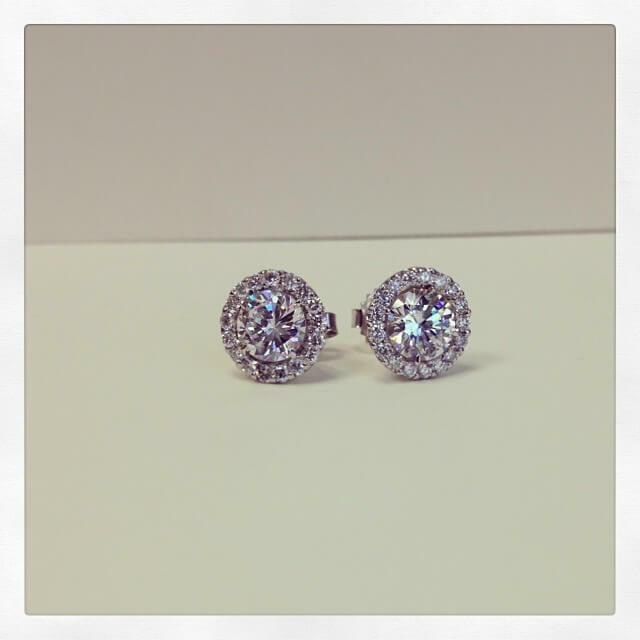 Diamond Stud Earrings, 1.84 cttw. 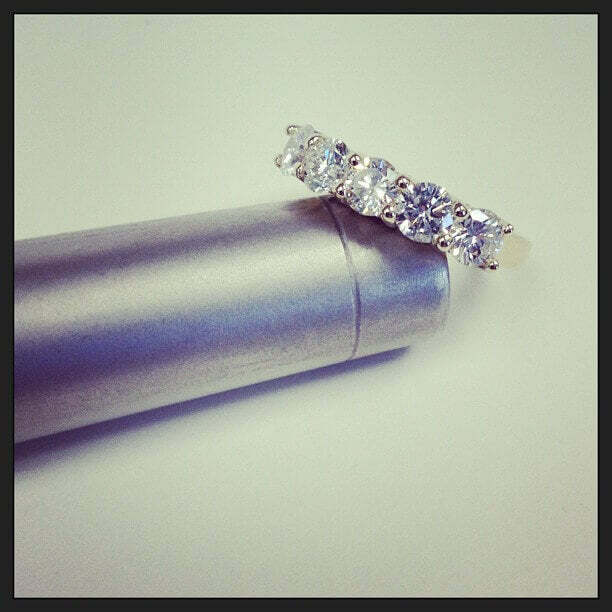 Diamonds are E-F color, SI2 clarity, certified by EGL. 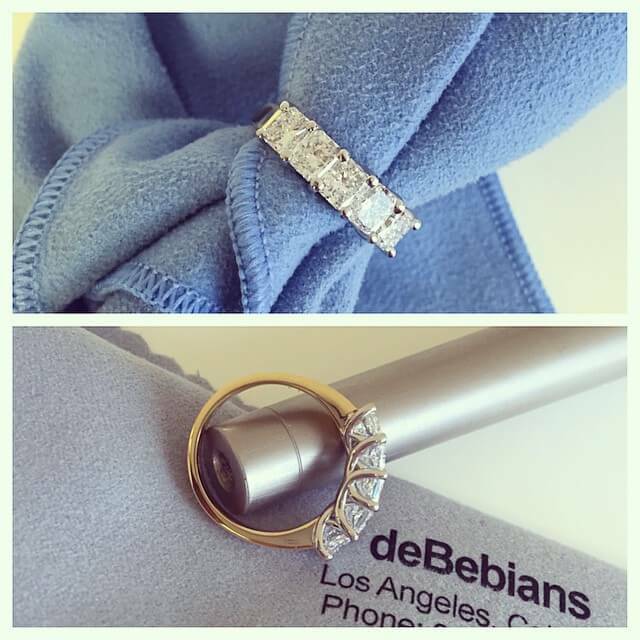 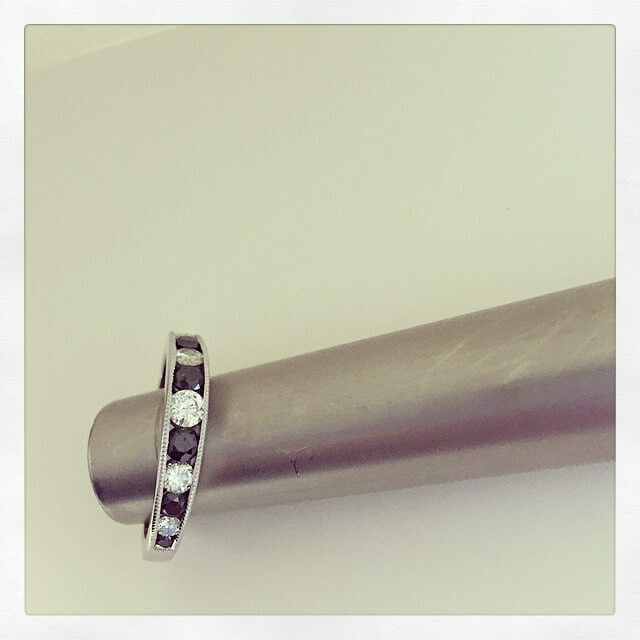 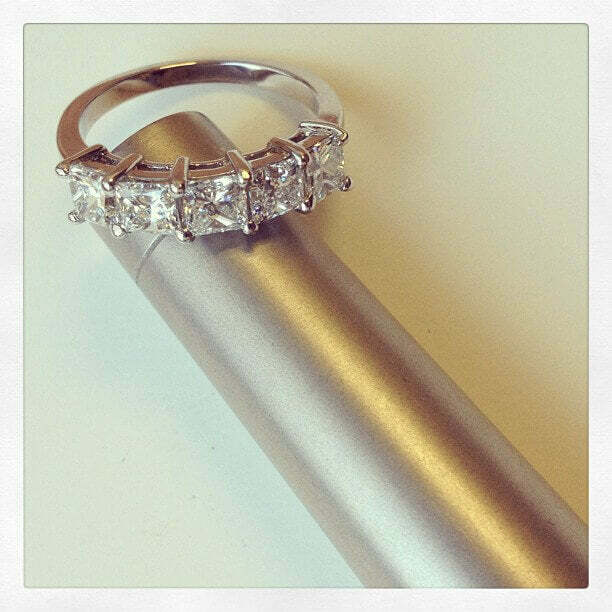 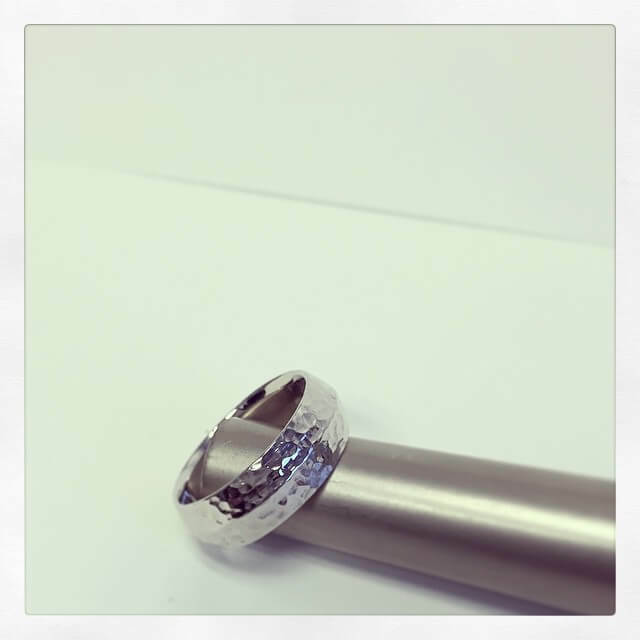 Small round brilliant diamonds are flush set inside the ring's custom gallery.